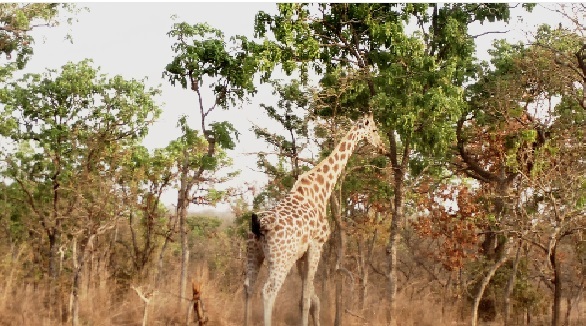 Gráinne McCabe, Head of Field Conservation and Science here at Bristol Zoological Society, marks Earth Day by recalling her recent visit to Tanzania. 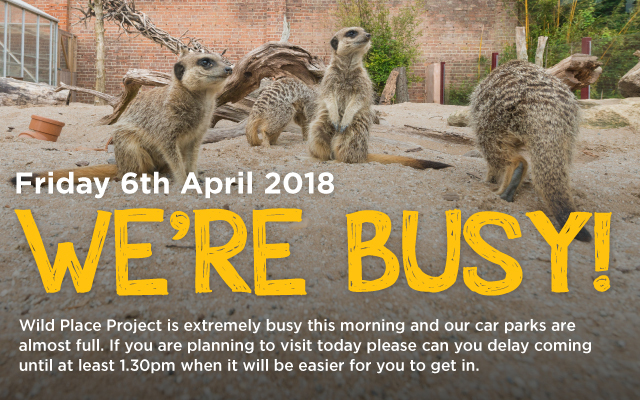 If you go down to Wild Place Project next weekend, you’re sure of a big surprise. 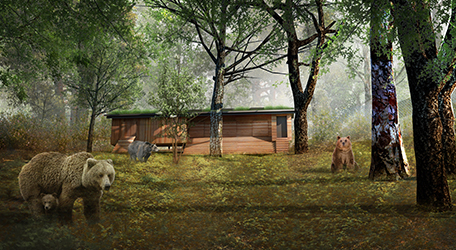 A new fly-through video gives a sneak preview of what the new Bear Wood exhibit at Wild Place Project will look like. 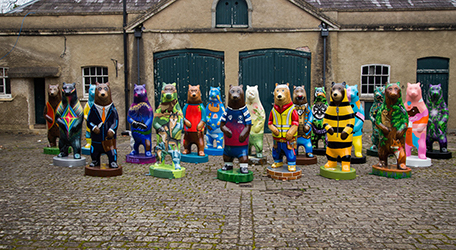 A series of life-size painted bear sculptures are set to appear around Wild Place Project this spring. 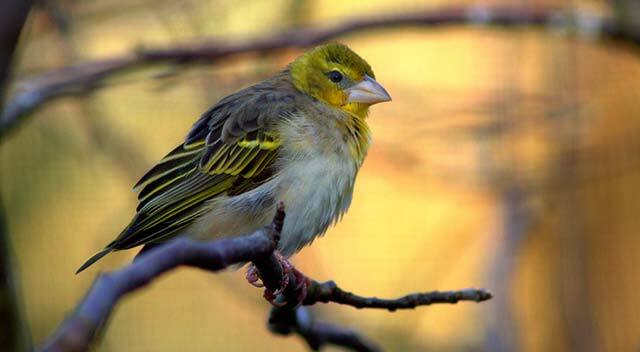 A new colony of brightly coloured birds has arrived at Wild Place Project in time for the half-term break. 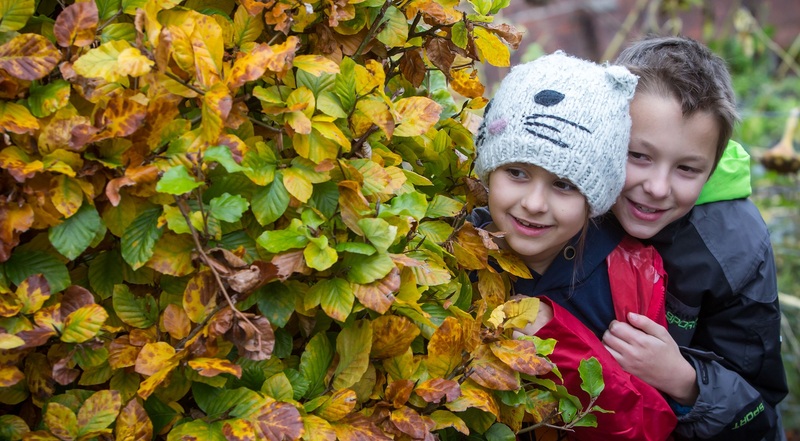 Children of all ages have the chance to make some wild discoveries at Wild Place Project this half-term. 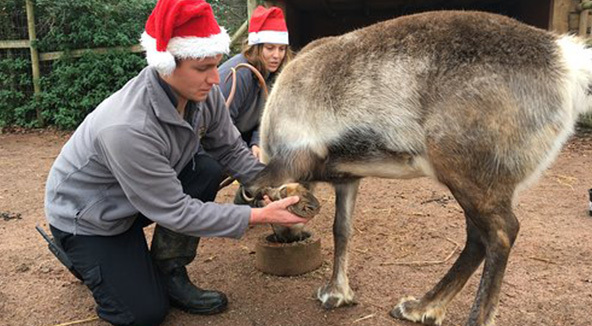 Keepers at Wild Place Project are giving their reindeer extra attention in the coming days – in case Father Christmas needs them. 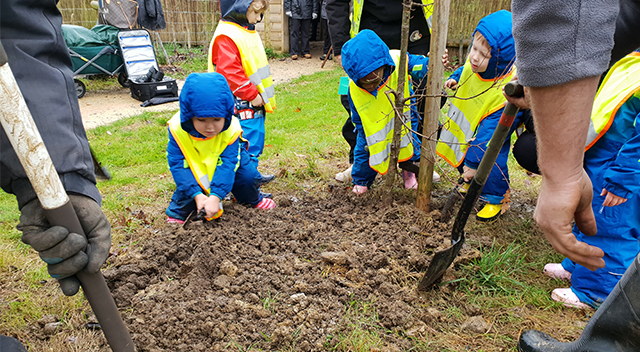 Pre-school children, armed with spades, have helped to plant the first of 150 native trees that will form a new tree corridor at Wild Place Project. 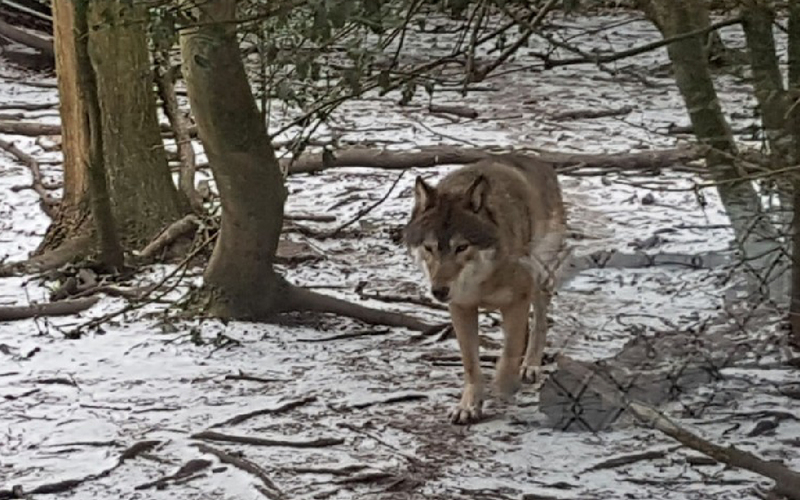 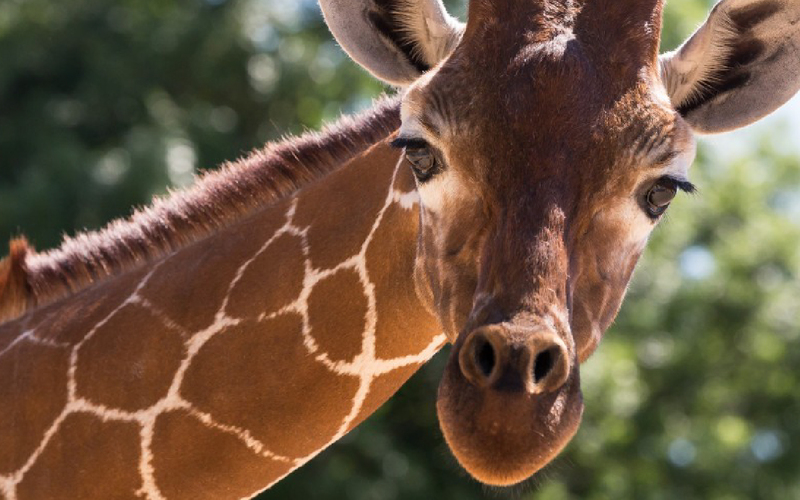 Experts at Bristol Zoological Society are involved in a race against time to save one of the world’s most beautiful and majestic animals. 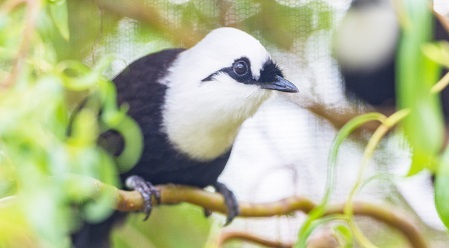 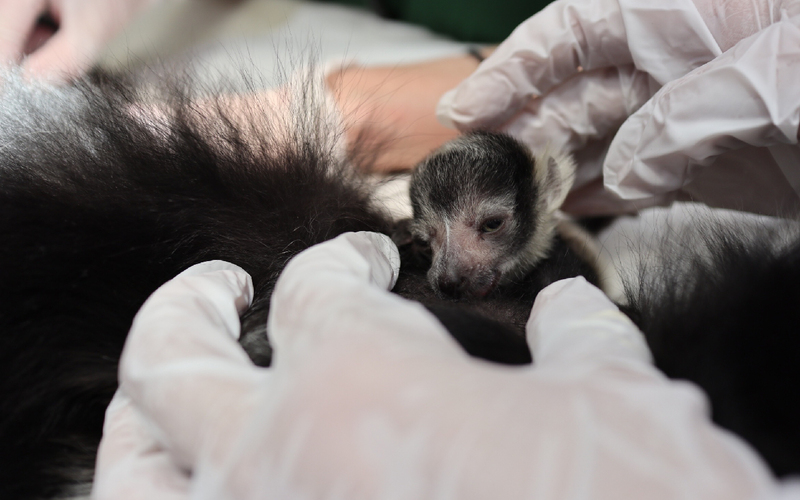 Keepers at Wild Place Project are celebrating the arrival of a cute new friend. 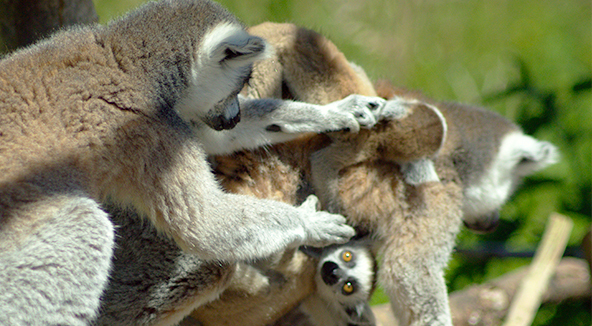 Bristol Zoological Society has launched a new campaign to help combat the extinction threat facing the world’s lemurs. 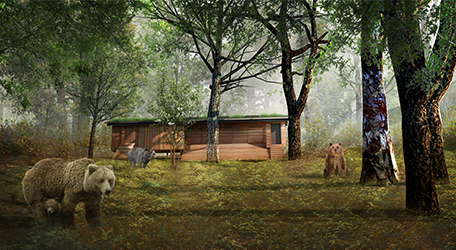 Work has begun on creating an exciting new bear exhibit at Wild Place Project. 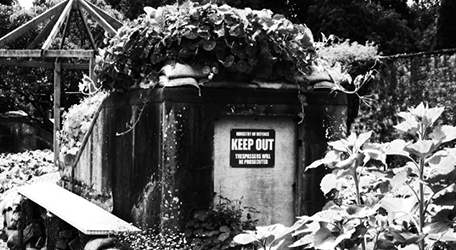 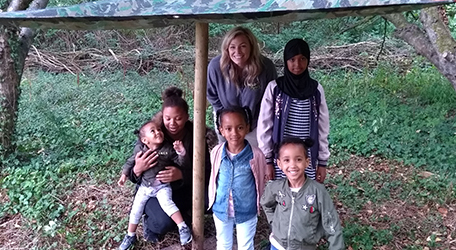 An underground air-raid shelter from World War Two is being opened to the public at Wild Place Project especially for Halloween. 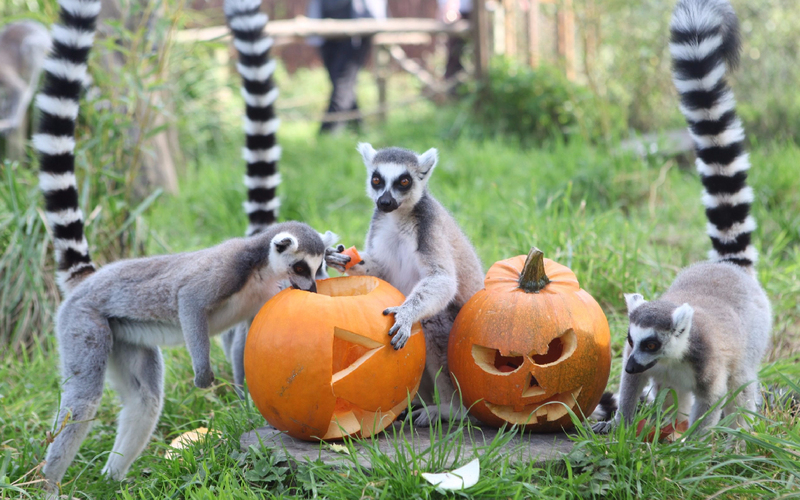 Halloween is being given an exciting twist this year to make it spookier and more fun than ever before. 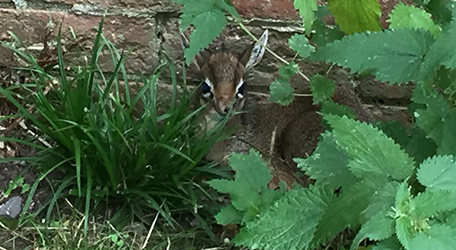 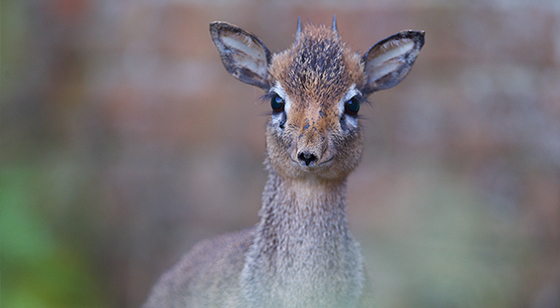 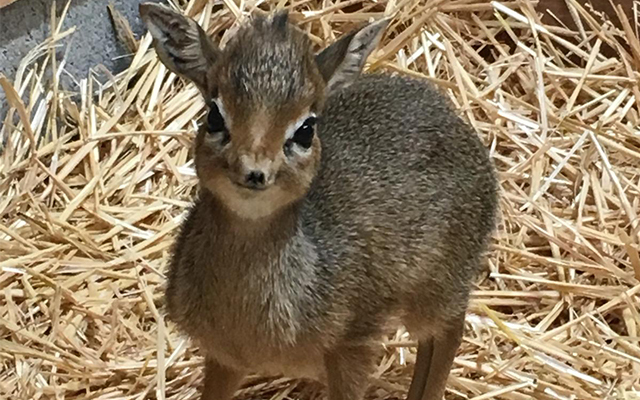 One of the smallest antelopes in the world has been born at Wild Place Project. 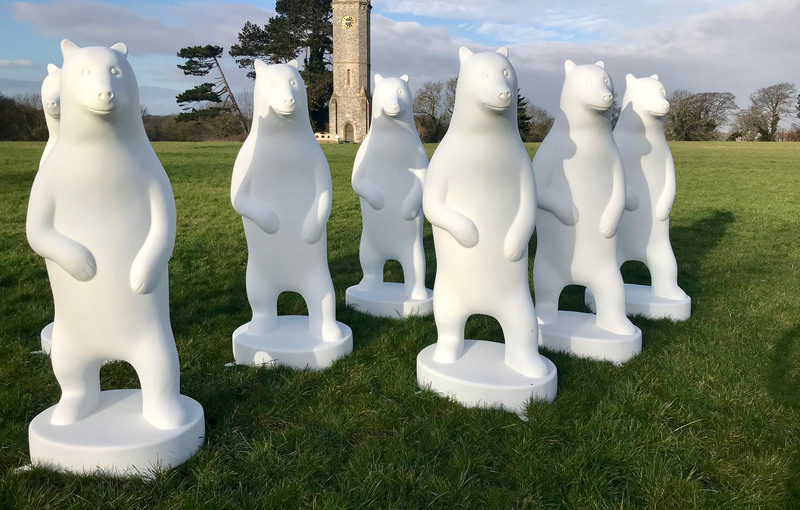 Leading celebrities have come out in support of the £5 million plan to return bears to ancient woods on the outskirts of Bristol. 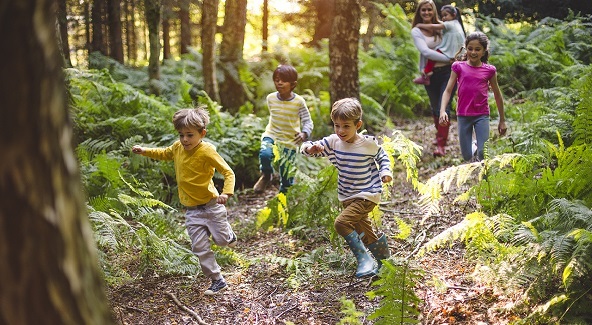 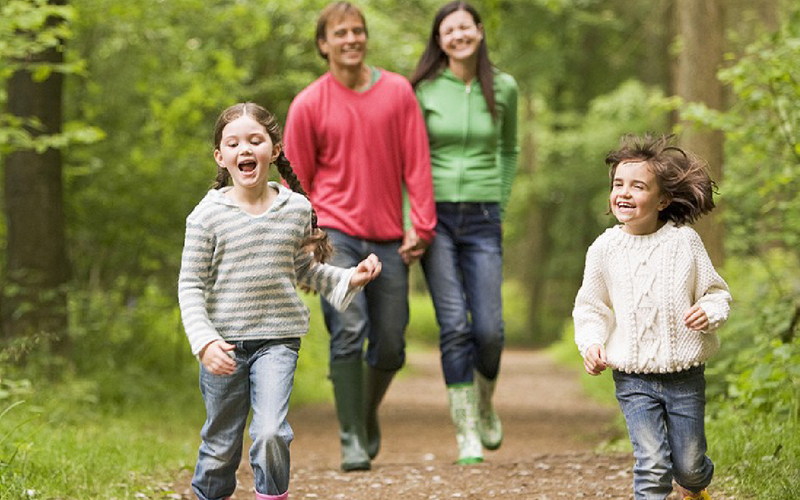 Families from across the Bristol area have been invited to join a series of free wildlife workshops to connect them with nature. 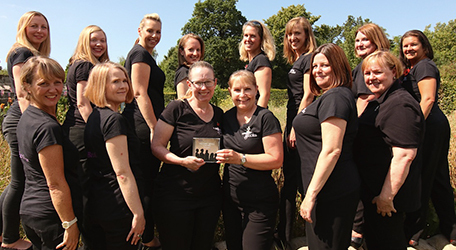 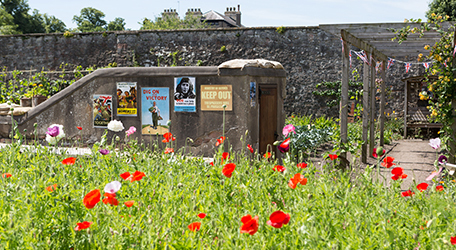 Wild Place Project’s unique poppy garden was the location of choice for a photoshoot for a group of musical military wives. 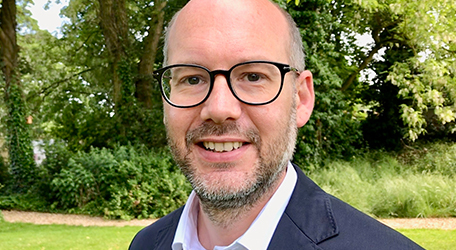 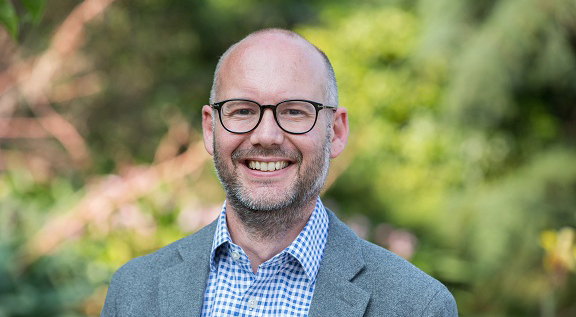 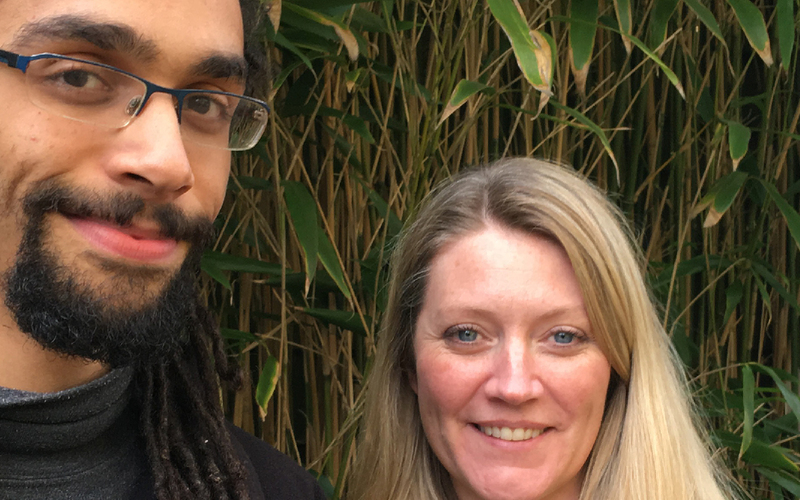 The new chief executive of Bristol Zoological Society, with responsibility for Bristol Zoo Gardens and Wild Place Project, is Dr Justin Morris and for him the role means he is coming home. 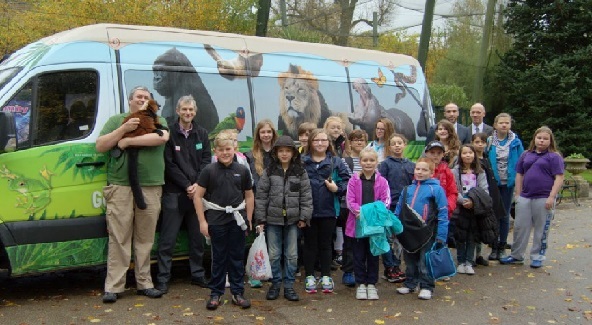 Bristol Zoological Society has welcomed a new Chief Executive - Dr Justin Morris. 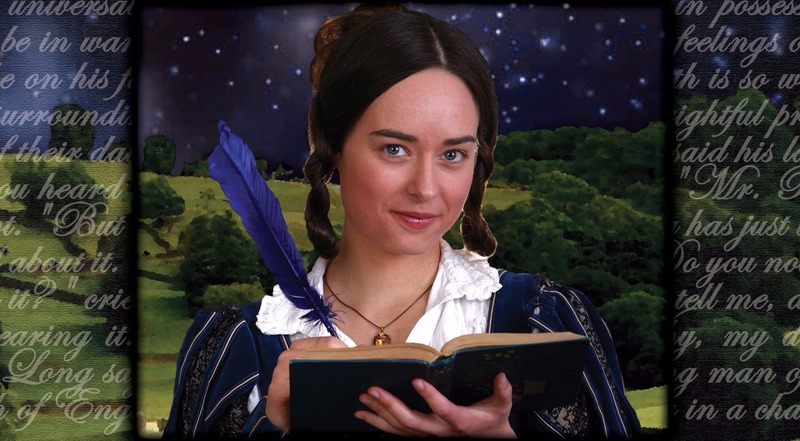 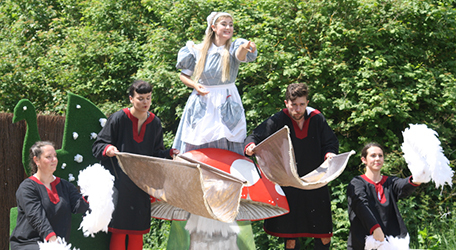 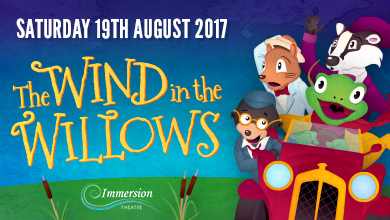 The timeless story of Alice’s Adventures in Wonderland is being brought vividly to life in the open-air at Wild Place Project this summer. 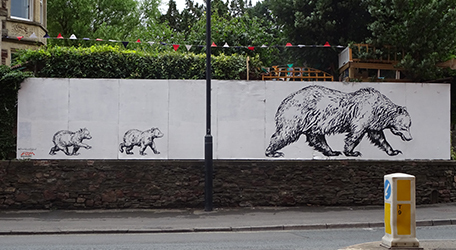 A well-known street artist is helping to spread the word about an exciting plan to return brown bears to an ancient woodland on the outskirts of Bristol. 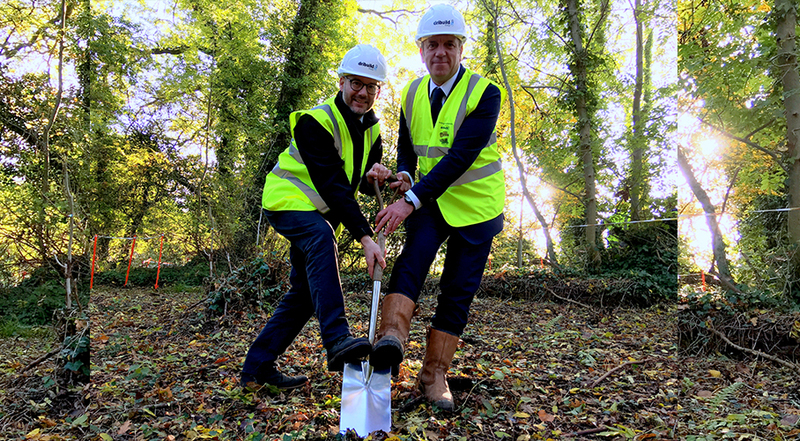 An air raid shelter from World War Two is being opened to the public at Wild Place Project for the first time in its history. 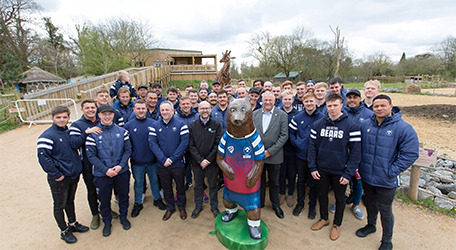 People are being given a great chance to leave their names on a £5 million scheme to bring bears back to woods at Wild Place Project. 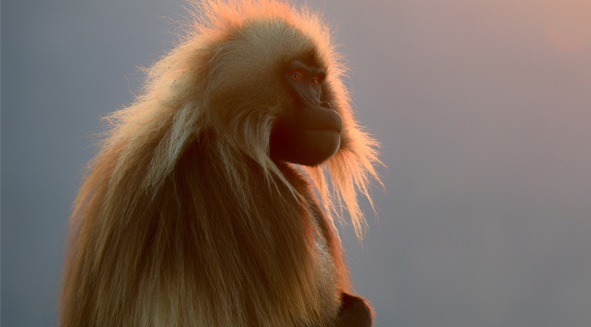 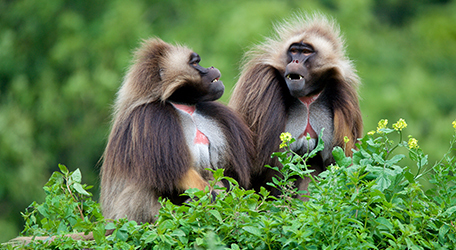 Wild Place Project has launched an exciting new animal experience with the Gelada Baboons! 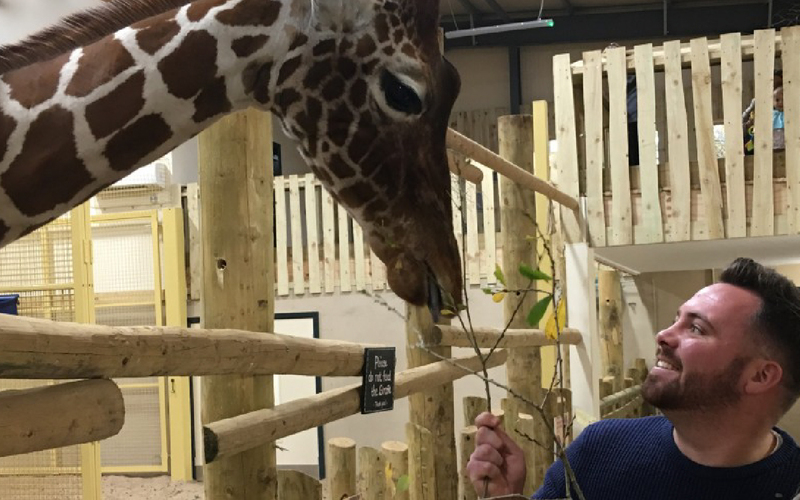 After a career spanning 40 years, Bristol Zoological Society’s chief executive is retiring. 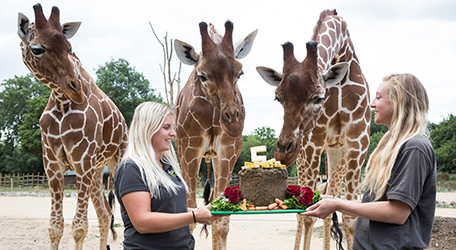 Wild Place Project is five this week (Sunday July 22) and to celebrate its tallest residents tucked-in to a delicious birthday cake! 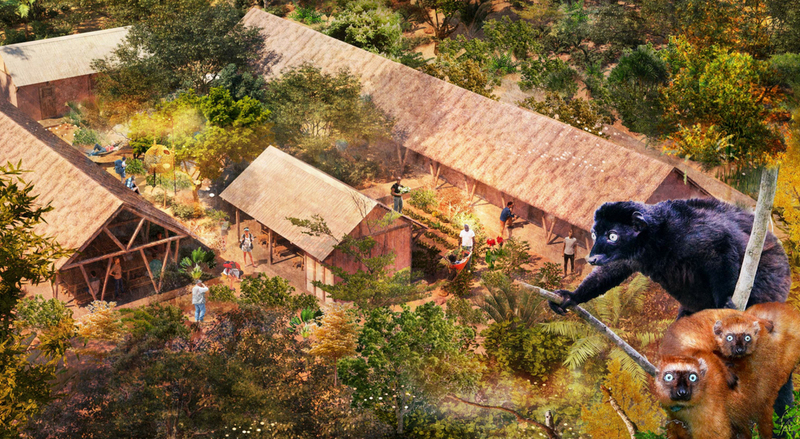 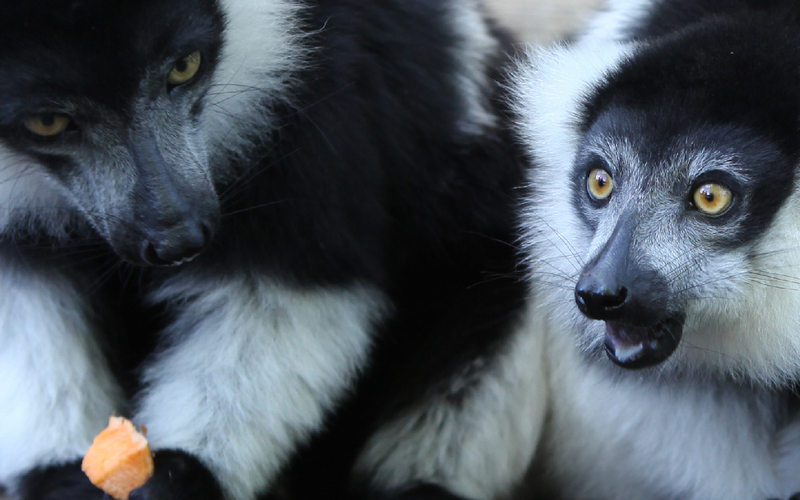 Sir David Attenborough has given his support to a vital project for a new field station in Madagascar to help save critically endangered lemurs. 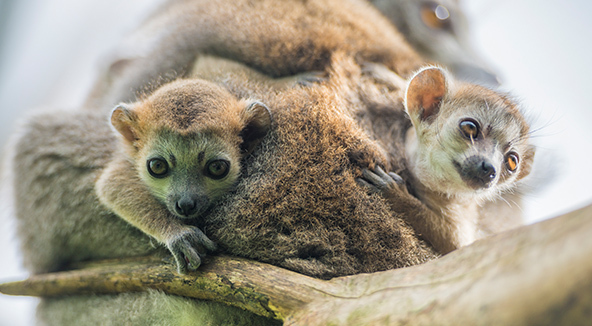 A new study by leading conservationists has revealed the growing plight of lemurs in their native Madagascar where 95 per cent are at risk of extinction. 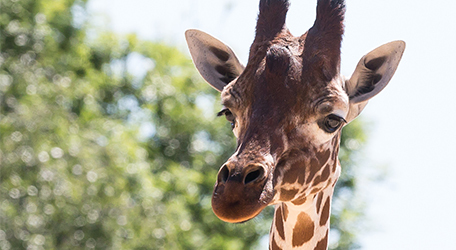 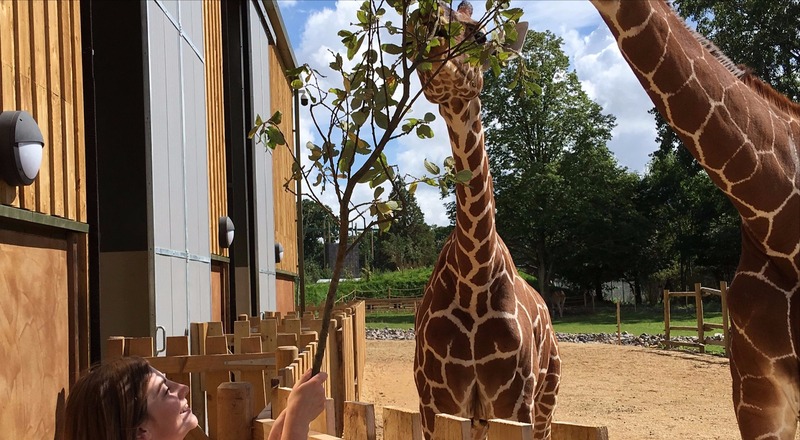 Staff at Wild Place Project will be championing the world’s tallest animals this weekend in celebration of World Giraffe Day. 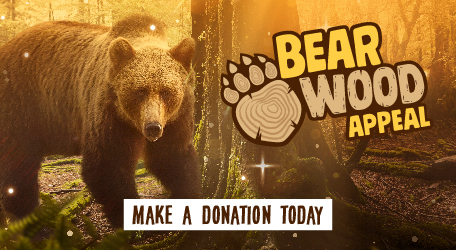 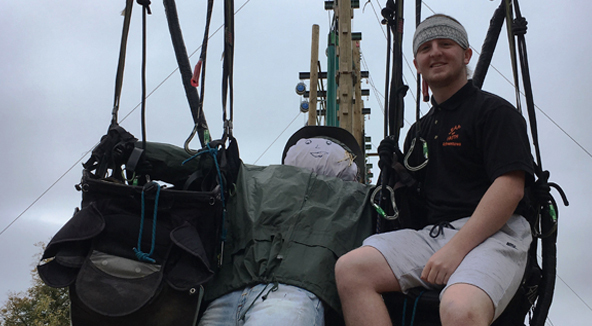 Adrenaline junkies have the chance to abseil off an iconic Bristol landmark to raise funds to introduce bears to ancient woods at Wild Place Project. 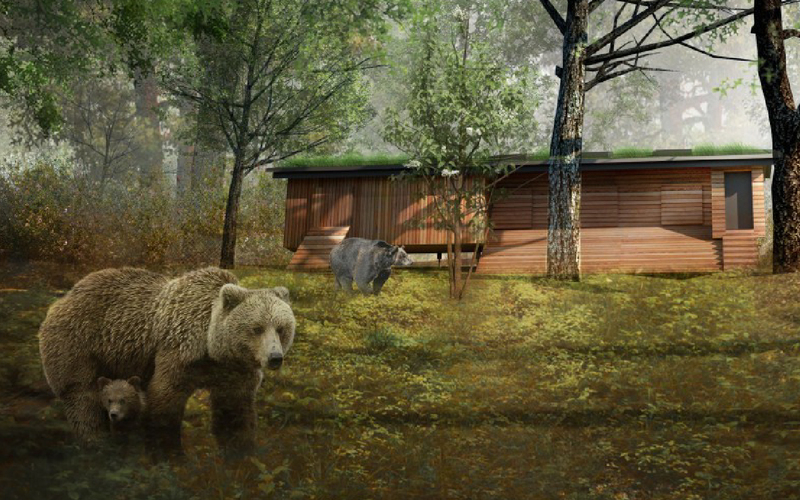 A £5 million plan to return bears to ancient woods on the outskirts of Bristol for the first time in hundreds of years has been given the go ahead. 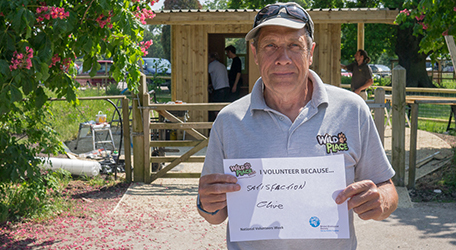 This week is National Volunteers' Week, a time to celebrate and thank our excellent volunteers for their dedication supporting Wild Place Project. 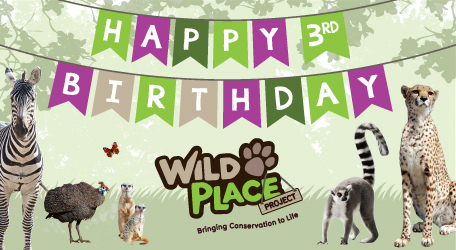 The cheetah triplets at Wild Place Project are also celebrating their eighth birthdays this week. 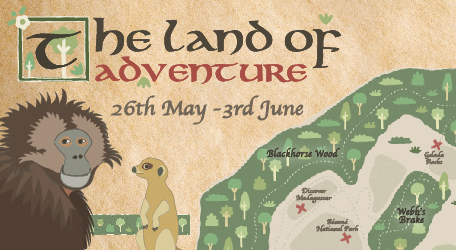 Wild Place Project will be transformed into a land of adventure this May half-term. 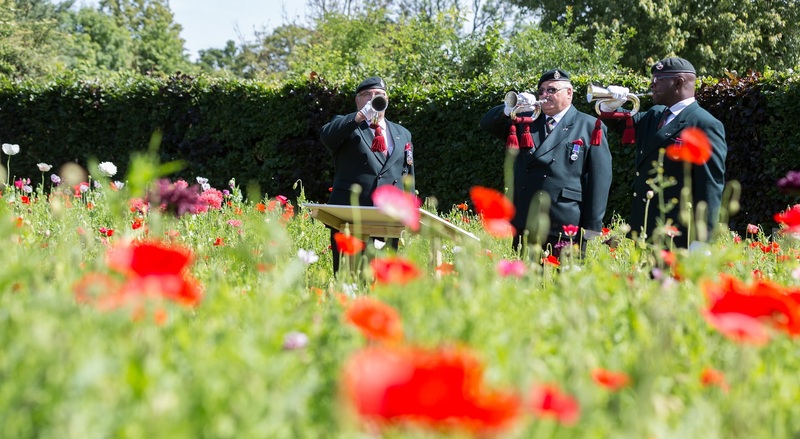 A special poppy garden at Wild Place Project to commemorate the centenary of the end of the First World War is beginning to flourish. 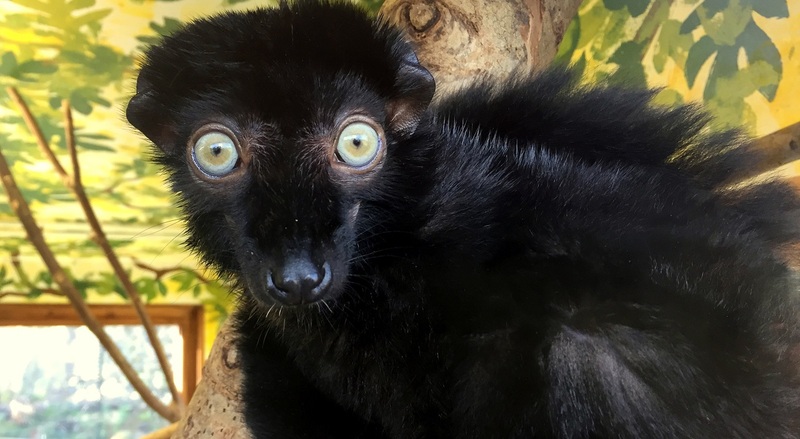 A tiny lemur at Wild Place Project whose life hung in the balance is now thriving. 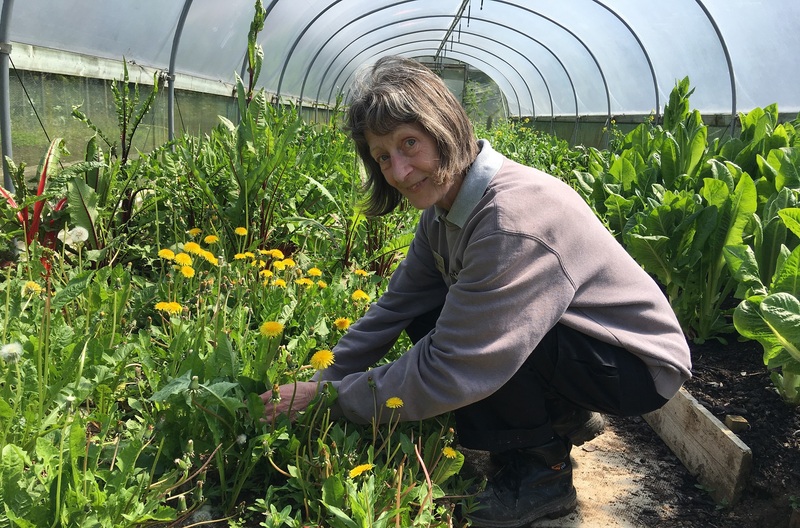 People who love propagating plants and tending seed beds have a rare chance to become horticultural volunteers at Wild Place Project. 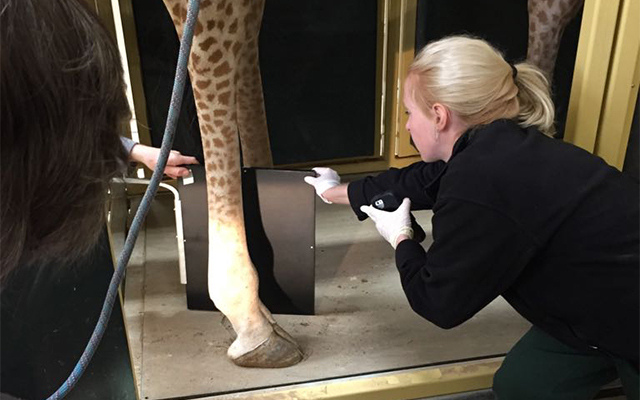 So how do you go about x-raying one of the tallest animals in the world? 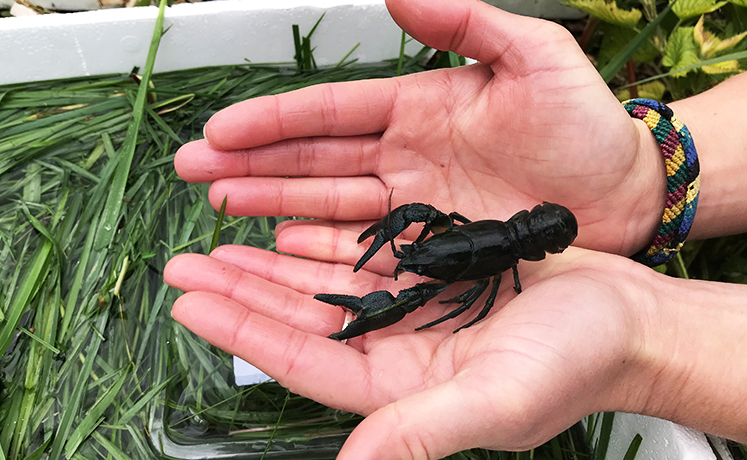 ​Conservationists from Bristol Zoological Society have released a healthy population of native crayfish into the wild to help bolster dwindling numbers in UK waterways. 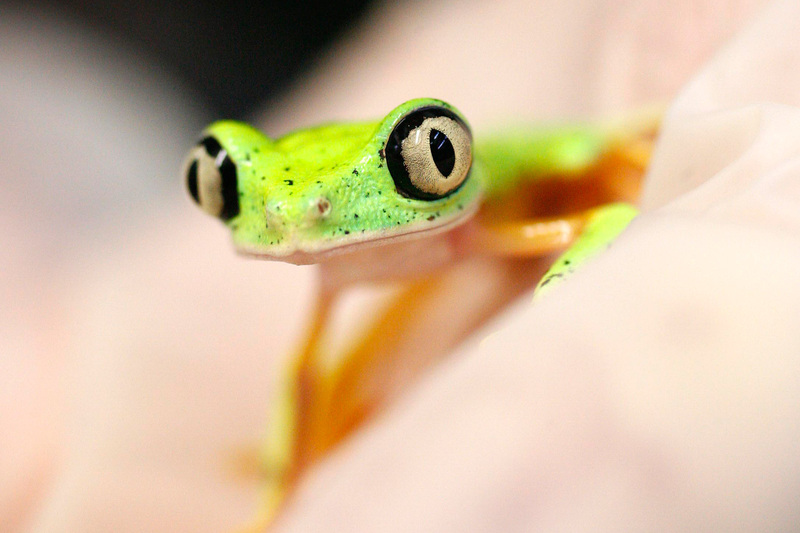 Conservationists from Bristol Zoological Society fly out to Costa Rica today (May 2) to spearhead vital research into a tiny endangered frog. 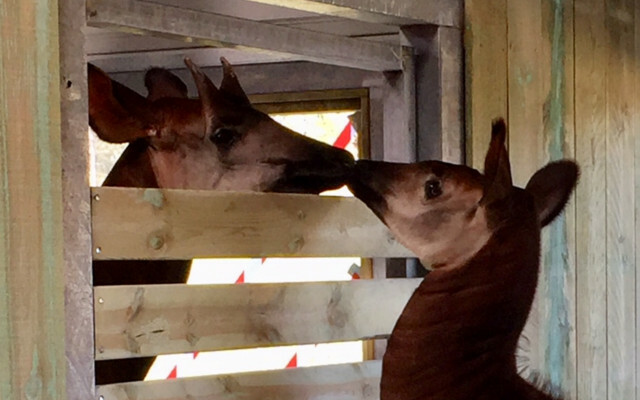 Kimosi our young female okapi will be leaving Wild Place Project next week to be paired with a male okapi at Zoo du Bassin d’Arcachon in France. 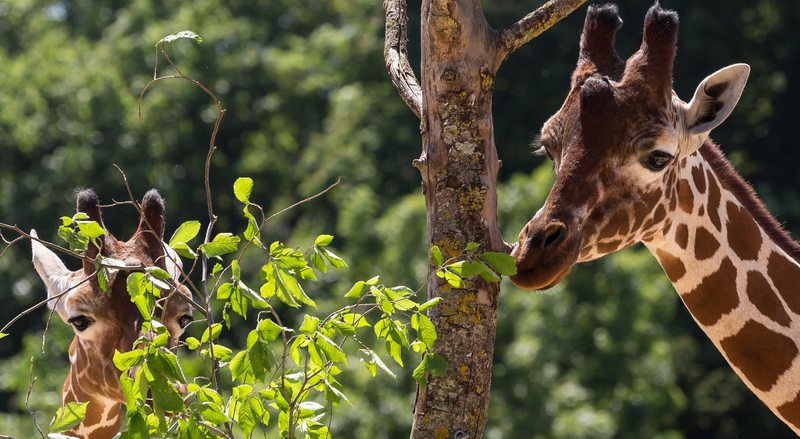 Conservationists from Bristol Zoological Society are using state-of-the-art technology to help safeguard the future of giraffe in Cameroon. 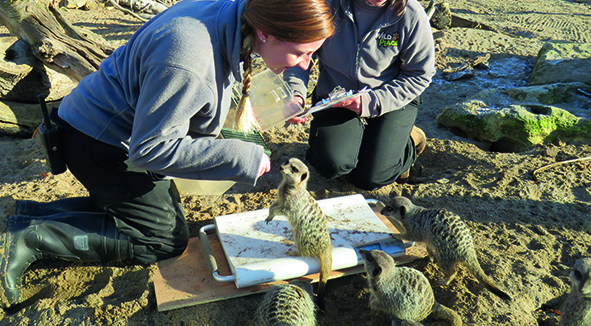 Animal lovers are being given the chance of a lifetime to volunteer at Wild Place Project. 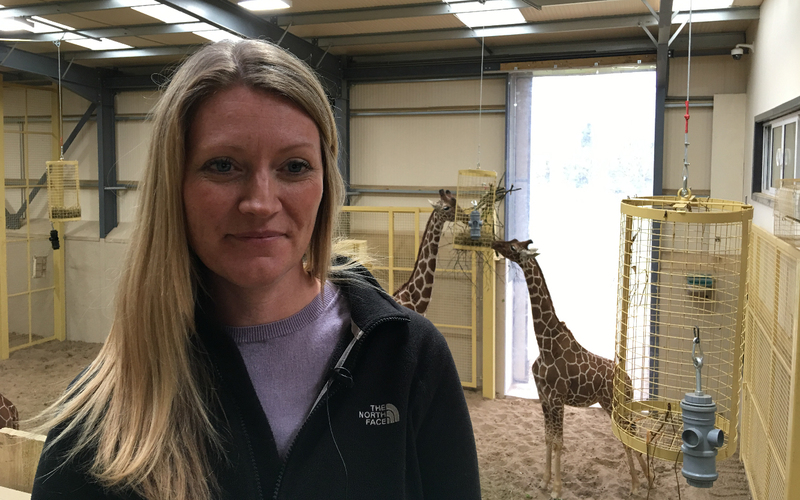 Three conservationists from Bristol Zoological Society fly to Africa today (Tues) to carry out vital research into vulnerable giraffe. 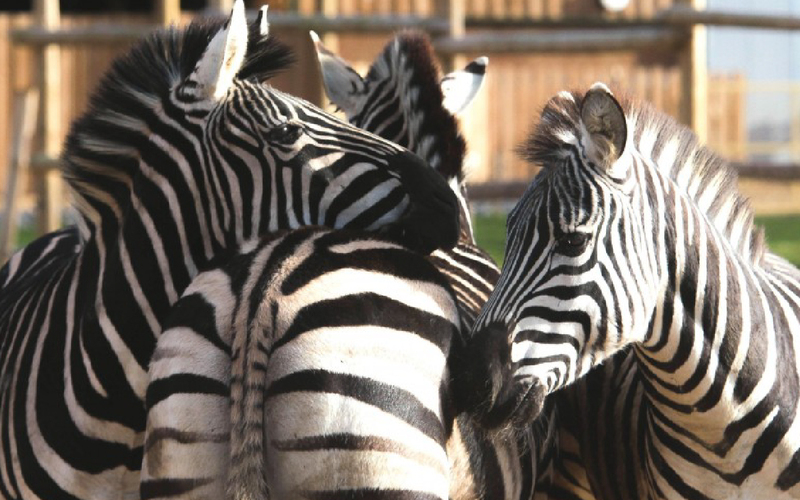 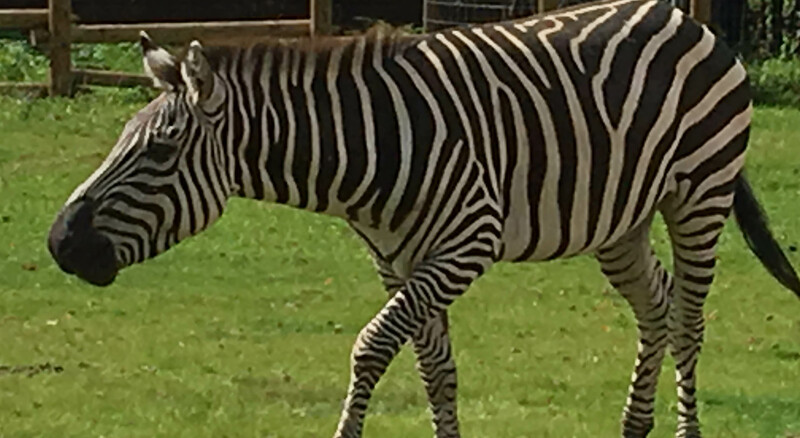 It is International Zebra Day (January 31) when people all over the world celebrate these amazing animals. 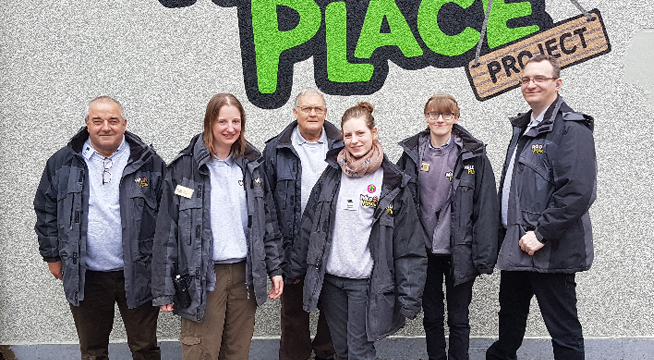 Everyone loves exploring and making exciting discoveries – and Wild Place Project is offering boys and girls the opportunity to both next month. 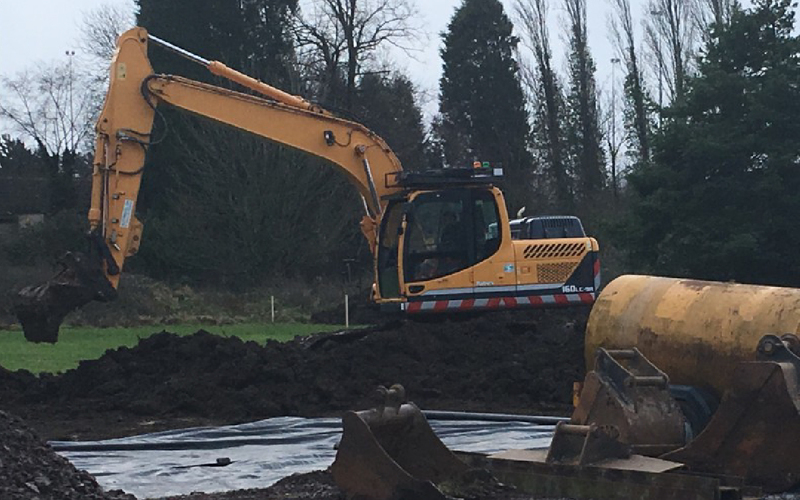 Work is underway on transforming the car park at Wild Place Project. 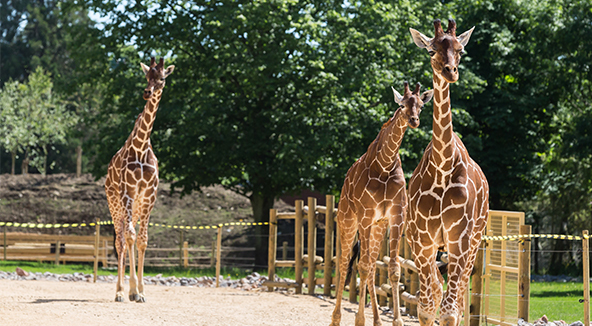 2017 was the best year yet for Wild Place Project, with record-breaking visitor numbers and the opening of our spectacular new giraffe house. 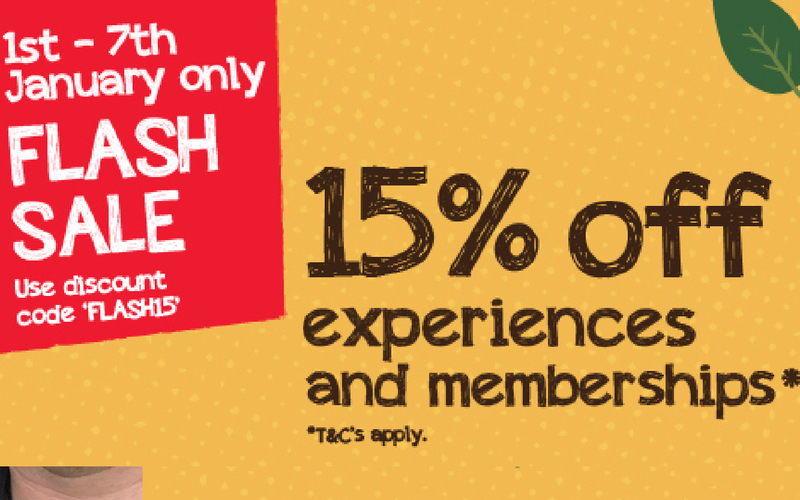 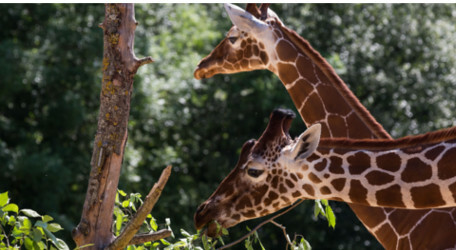 Start the New Year by meeting and feeding giraffe, cheetah, meerkats and lemurs at knock-down prices in the Bristol Zoo Gardens and Wild Place Project January flash sale. 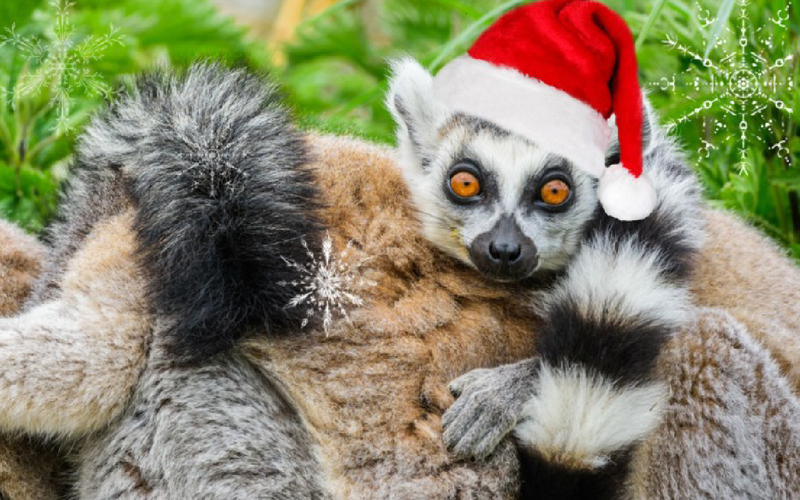 Merry Christmas from Wild Place Project! 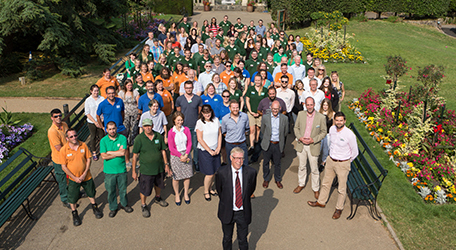 It’s been a record breaking year for Wild Place Project. 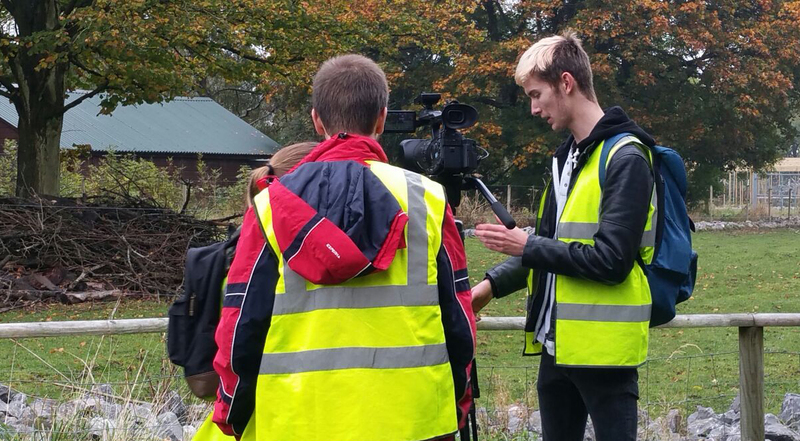 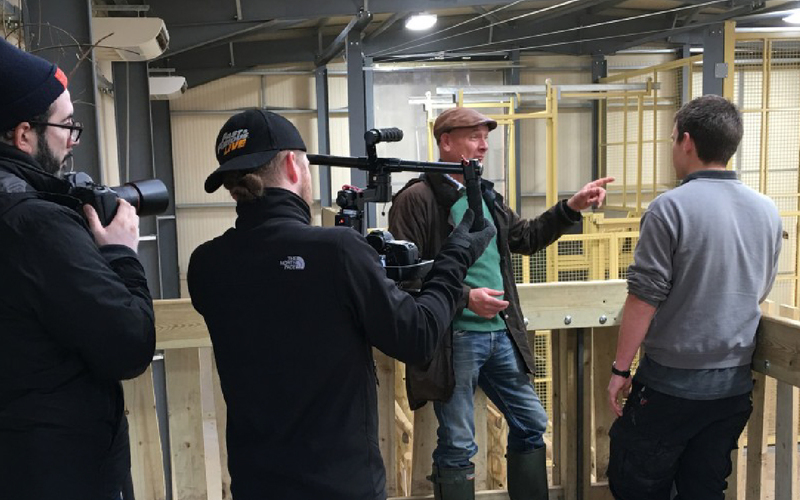 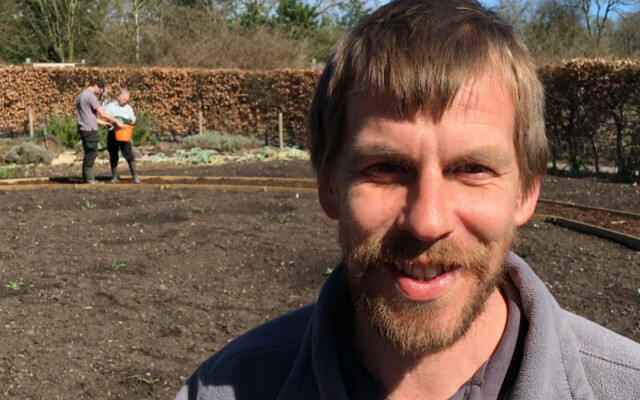 Celebrity farmer Gareth Wynn-Jones visited Wild Place Project to film a video for Honda UK. 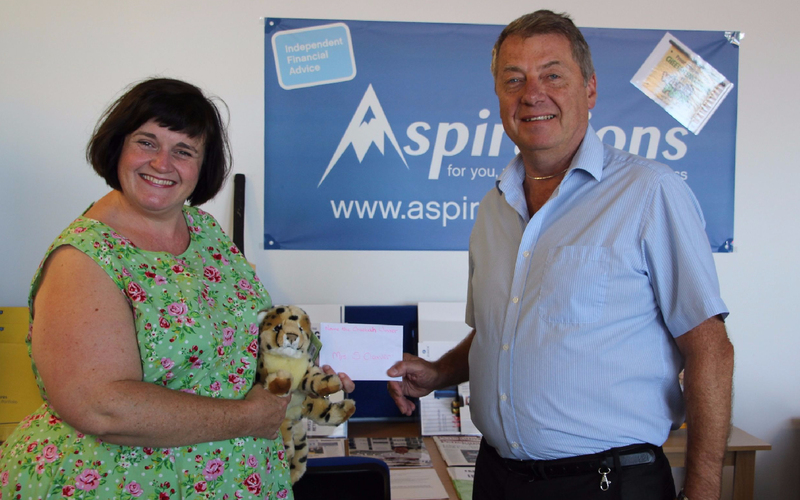 The fastest growing tourist attraction in the south-west has welcomed its 200,000th visitor of the year. 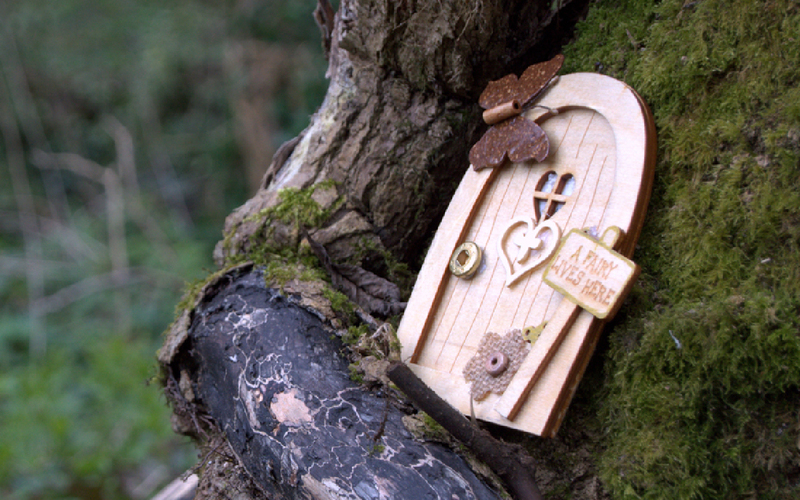 Some Christmas gifts make dreams come true and will be remembered forever. 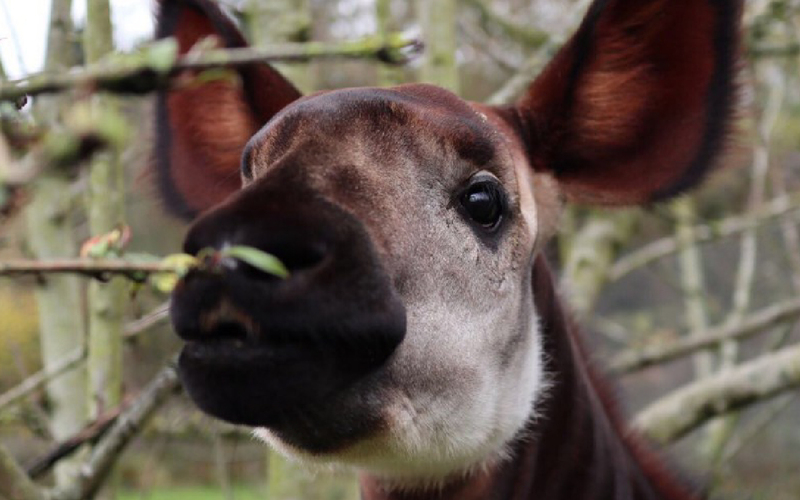 One of Wild Place Project’s okapi is celebrating her first birthday today. 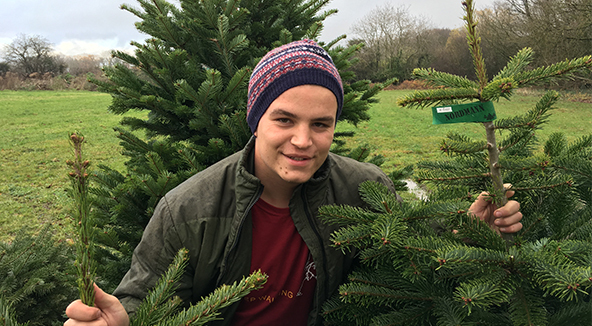 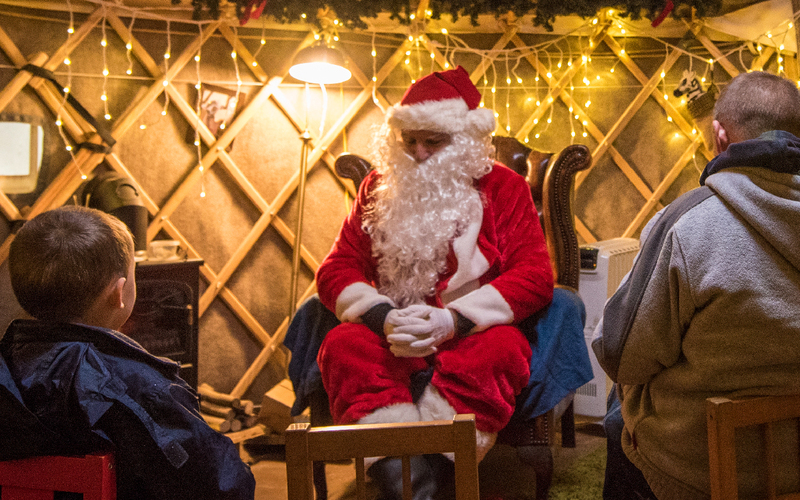 The countdown to Christmas has begun at Wild Place Project and already there is magic in the air. 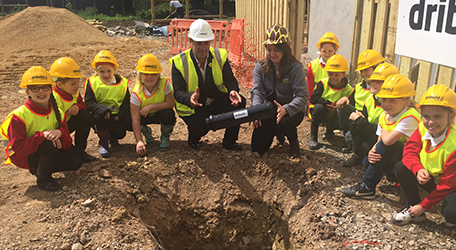 Local school children who buried a time capsule at Wild Place Project earlier this year have returned to the attraction to visit its newest inhabitants. 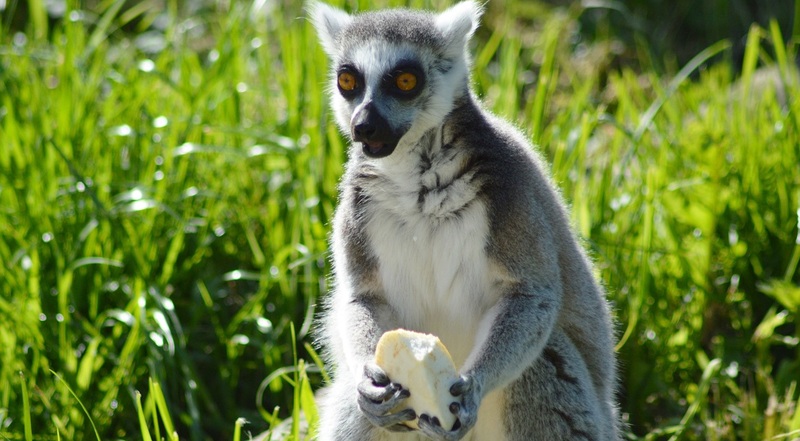 Tomorrow (Fri Oct 27) is World Lemur Day and we thought we would share some of our favourite pictures of these charismatic animals. 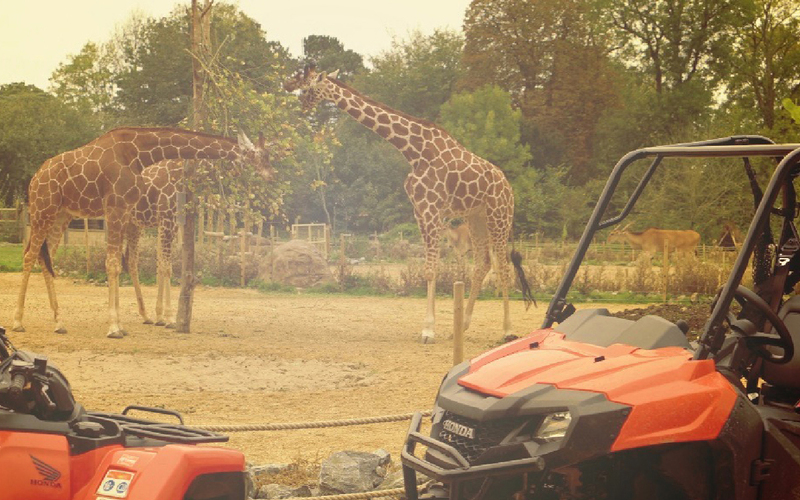 Wild Place Project has taken delivery of a new Honda Pioneer and it has certainly caught the eye of the giraffe there. 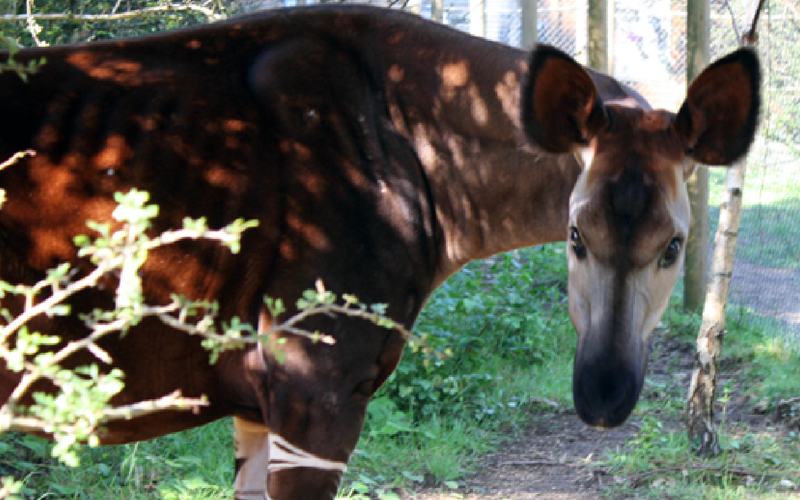 Today we celebrate world okapi day! 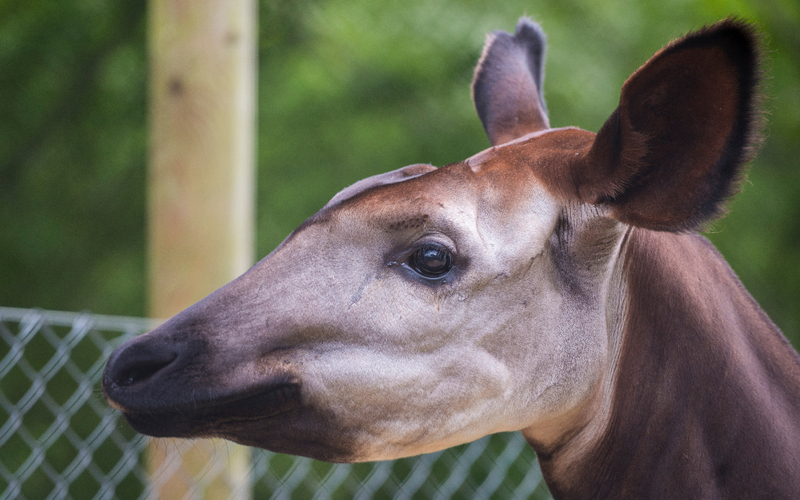 Today is World Okapi Day, an opportunity to celebrate and raise awareness about these amazing and elusive animals. 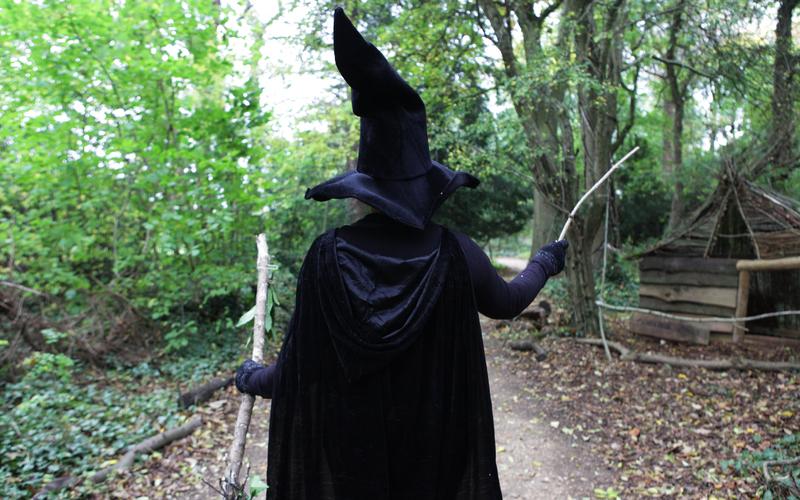 The Witch of Wild Place is here this Halloween Half Term. 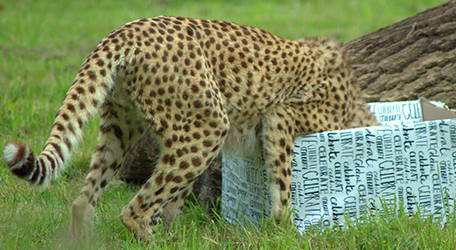 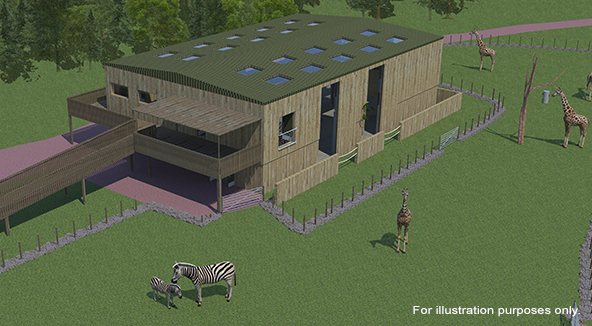 Aspirations Financial Advice Ltd is sponsoring the cheetah enclosure at Wild Place Project. 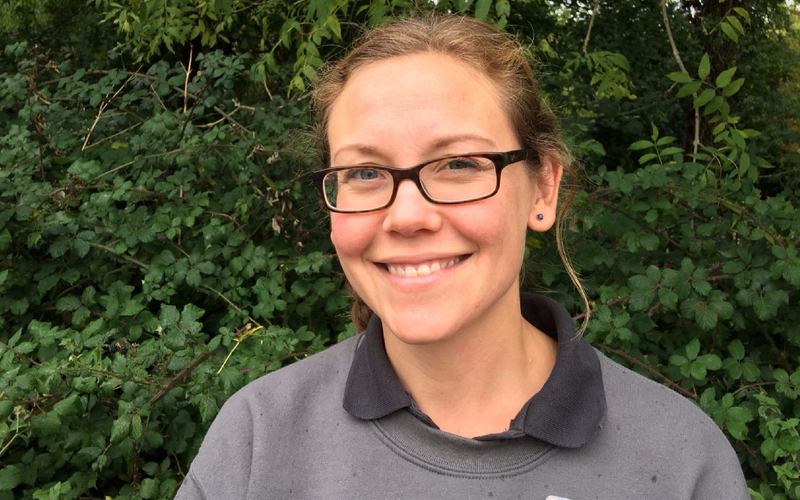 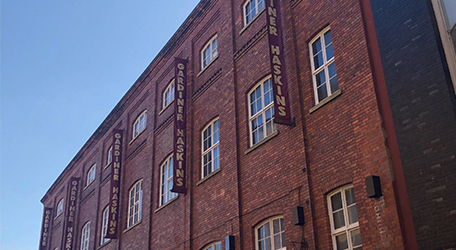 We have appointed Rosie Sims as our new learning officer. 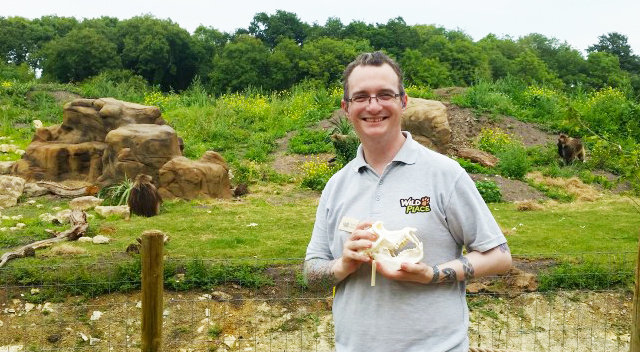 A special weekend to raise awareness about the threat to the survival of okapis takes place at Wild Place Project. 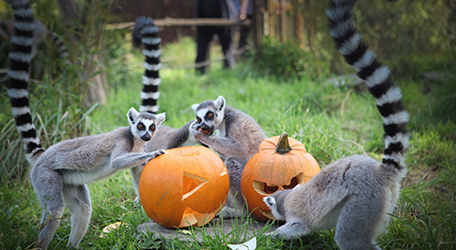 Cute lemur Ihosy simply could not wait to get into the Halloween spirit at Wild Place Project. 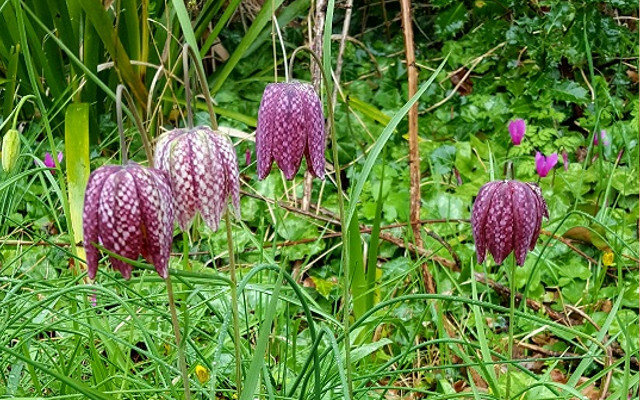 Autumn is just around the corner, and Wild Place Project is the perfect destination to enjoy the changing seasons of the woodland. 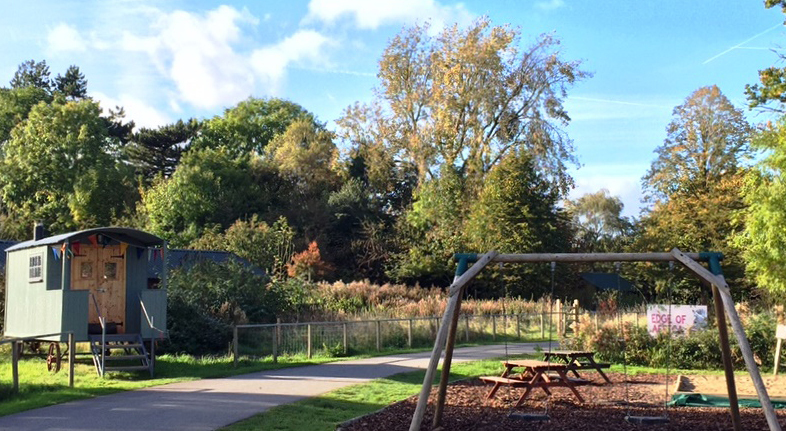 Autumn has arrived at Wild Place Project. 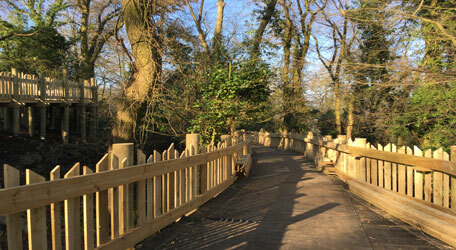 It is the perfect time of year to enjoy the changing seasons of the woodland at Wild Place Project. 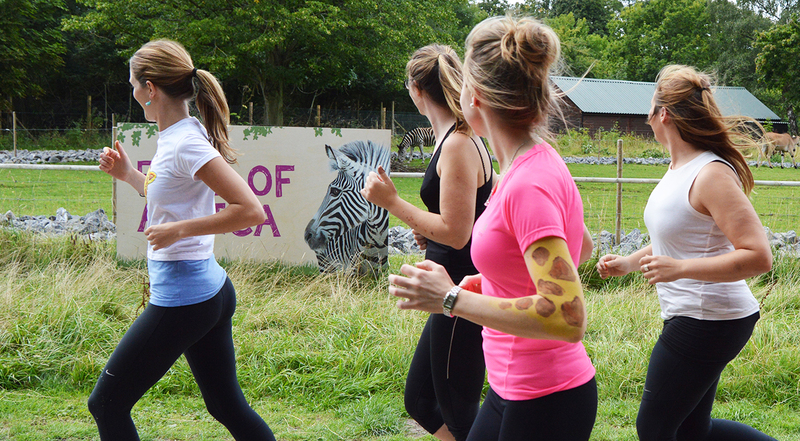 Wild Place Project is inviting runners, joggers and walkers to ‘run wild’ next month as it holds its third annual fundraising fun run. 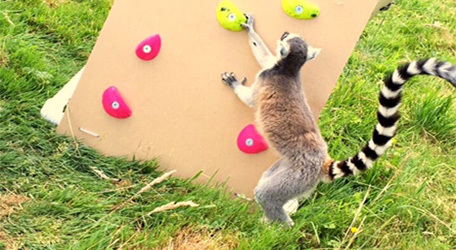 A unique experiment to see if endangered lemurs bred in captivity could adapt to life in the wild is taking place at Wild Place Project, near Bristol. 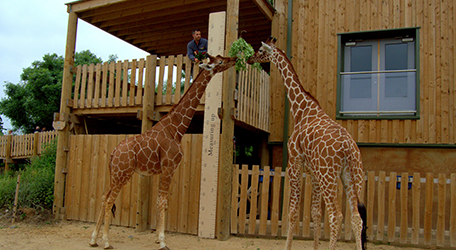 The giraffe house is now open daily. 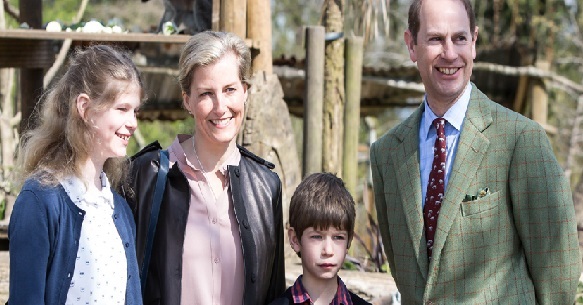 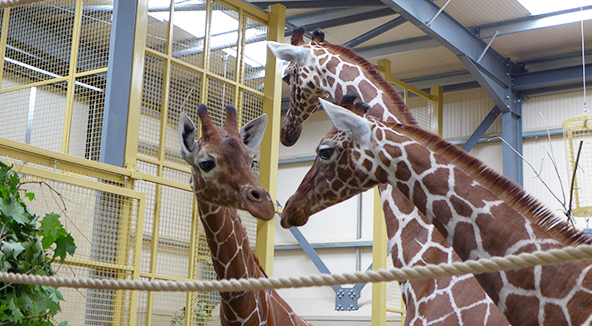 We can now reveal the name people have chosen for our third giraffe at Wild Place Project. 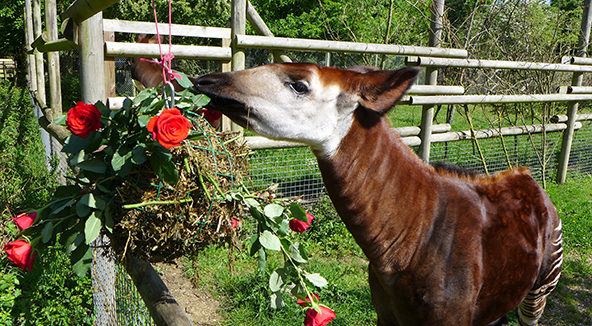 Our okapi Ruby celebrated her first birthday with roses! 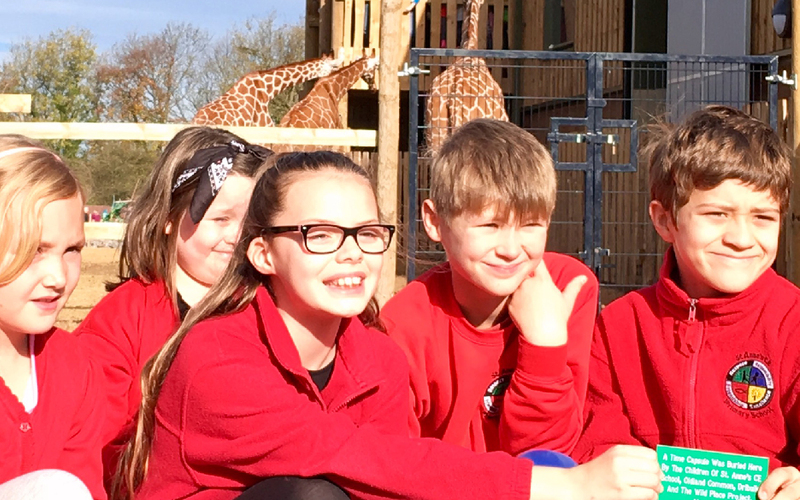 Children from St. Anne’s CE School in Oldland Common visited Wild Place Project to find out about the new giraffe house, which is now under construction. 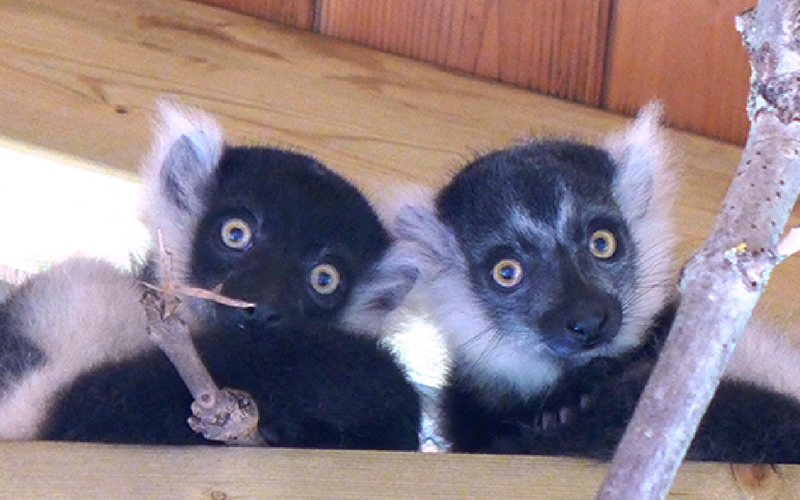 Meet Croissant, Streusel and Sponge – Wild Place Project’s newest, mini residents. 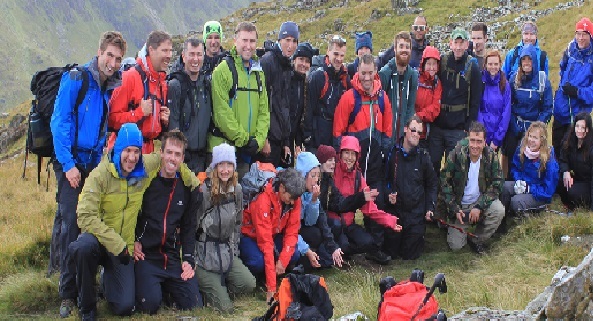 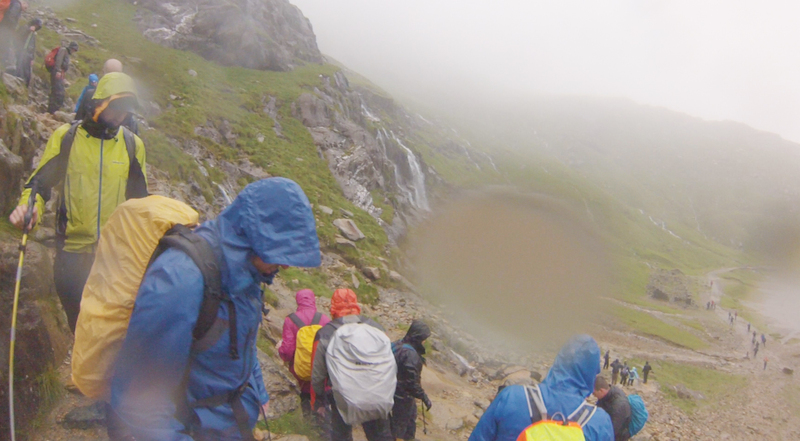 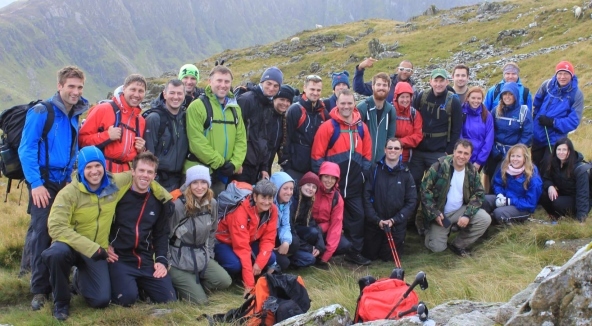 Companies and individuals in the south west are being invited to join staff from Bristol Zoological Society to take on the National Three Peaks. 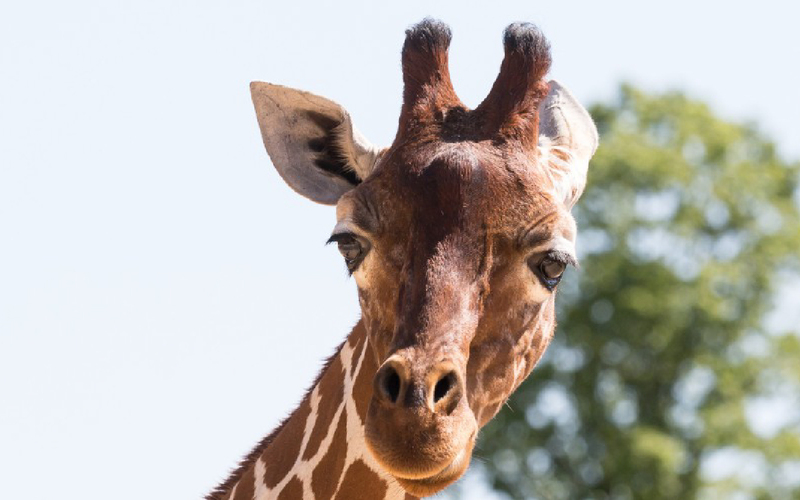 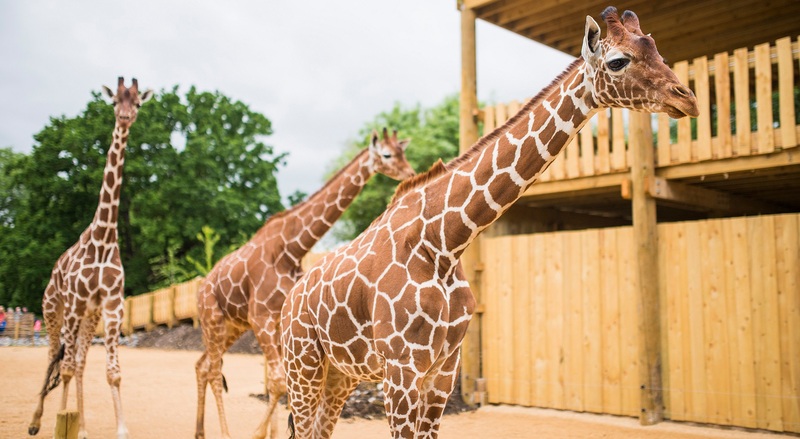 The world’s tallest animals will be making south Gloucestershire their home later this year as Wild Place Project reveals plans to bring in giraffe. 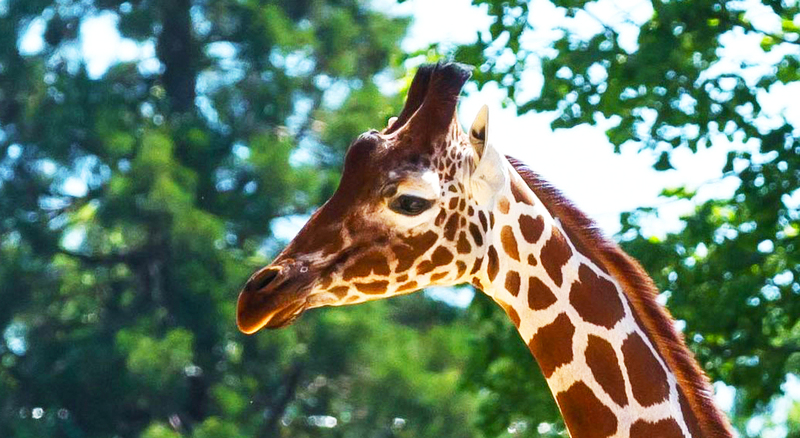 Lovers of the outdoors have the unique opportunity to spend the night among the animals at Wild Place Project from this summer. 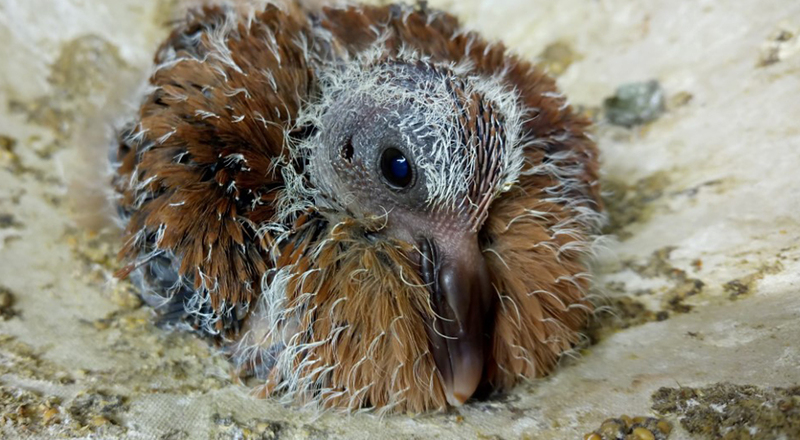 In a true tale of instinct and adaptability, a group of five endangered Mauritius pink pigeons have been raised by foster parents from an entirely different species. 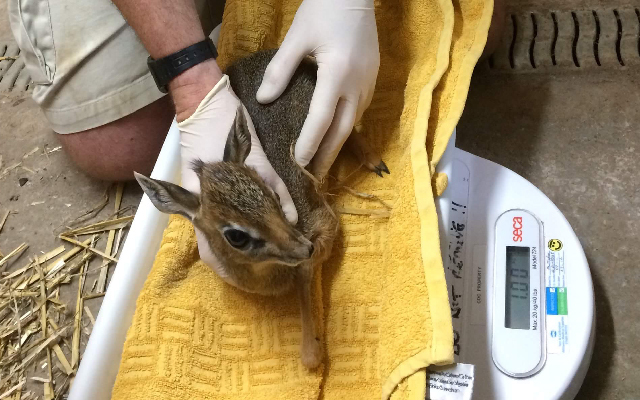 From tiny birds, to antelope, keepers at Wild Place Proiect are undertaking task of weighing all the animals. 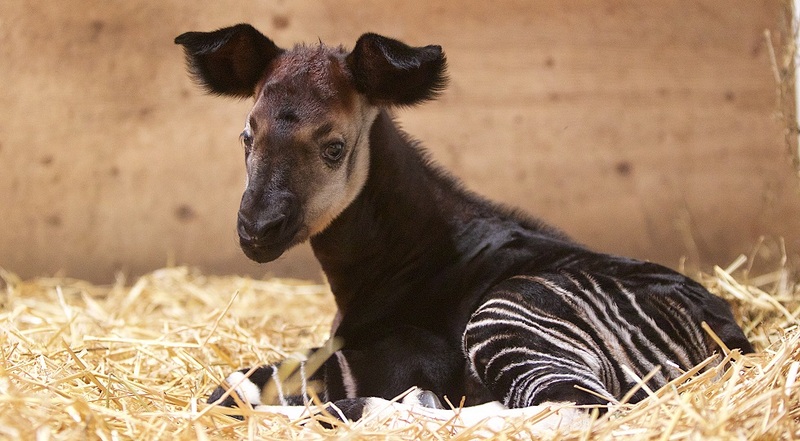 Keepers at Wild Place Project are inviting the public to help to choose a name for a new baby okapi. 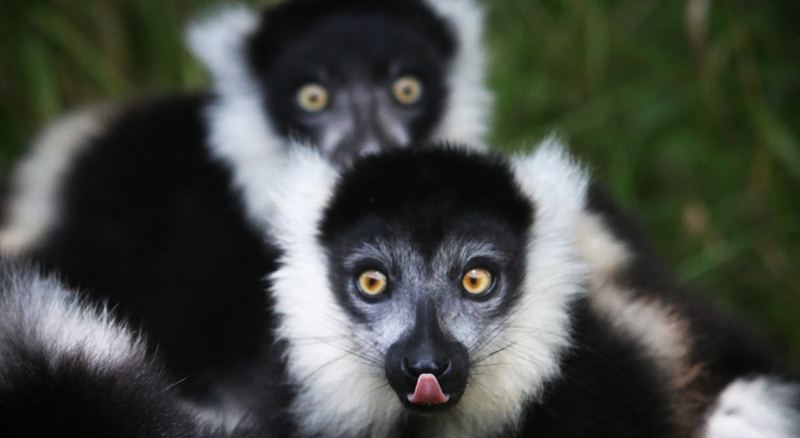 The future of lemurs could be safeguarded thanks to a significant donation. 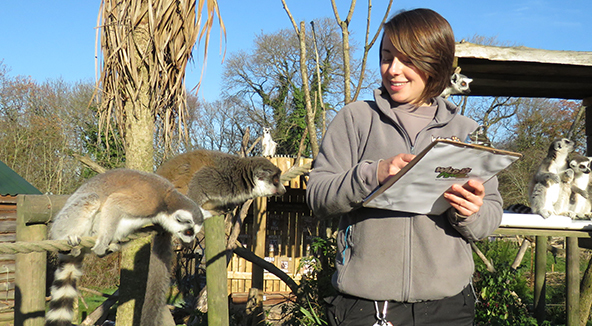 Fancy volunteering for a variety of roles? 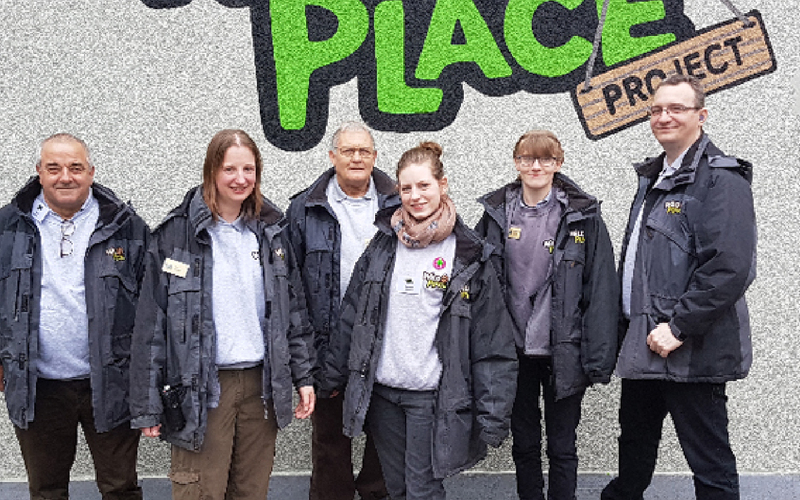 Volunteers are being sought to help with a variety of roles at Wild Place. 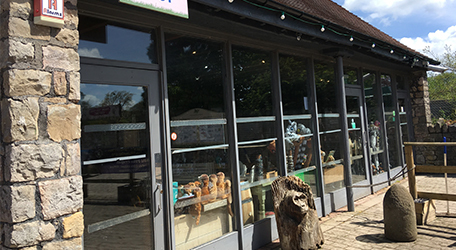 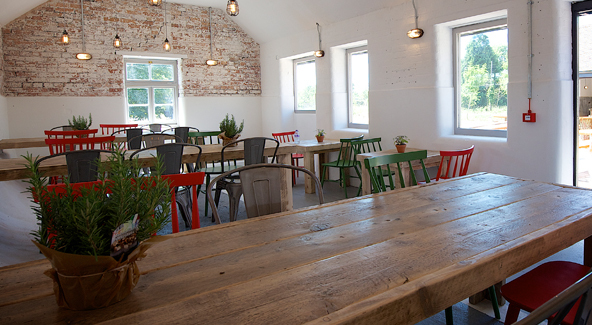 Open to individuals & groups who may not usually be able to visit Wild Place. 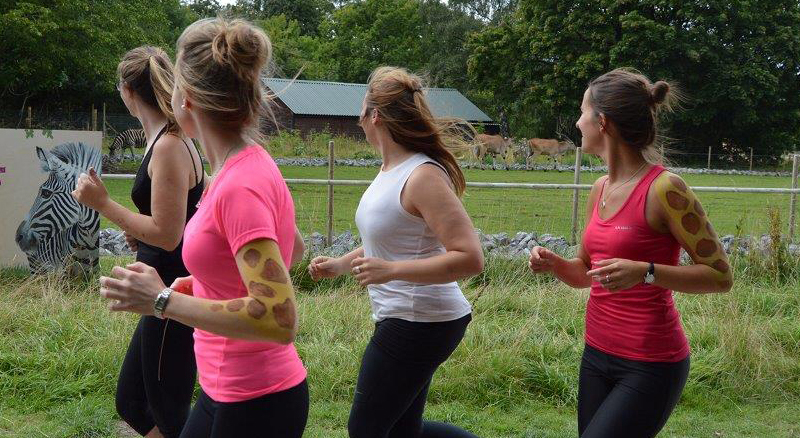 Jog for Giraffe’ on Sunday 11 September; an energising 5k run raising funds to protect the future of giraffe. 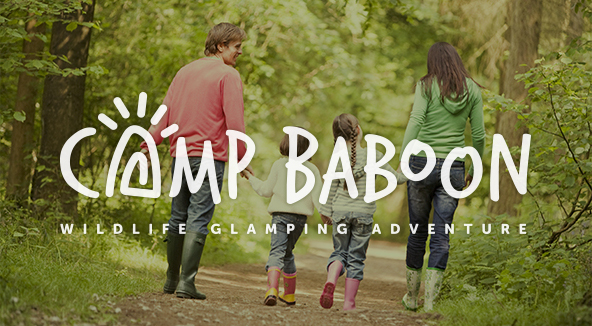 Meet Hobbit, Hercules, Harshit, Hector, Kito and Kidame – our newest arrivals. 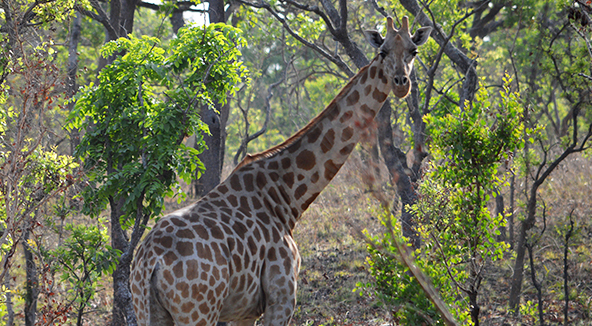 We're heading to Cameroon to begin a critical research project on the remaining Kordofan giraffe. 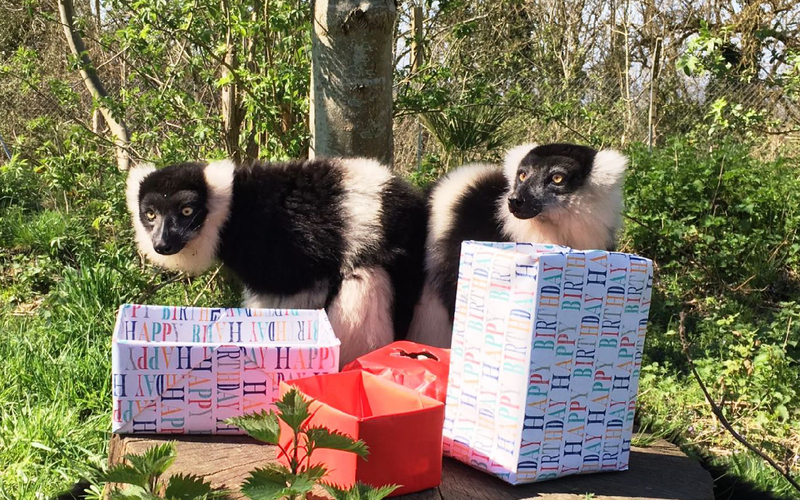 To celebrate our third birthday treat our animals to a enriching present from our Amazon Wish List. 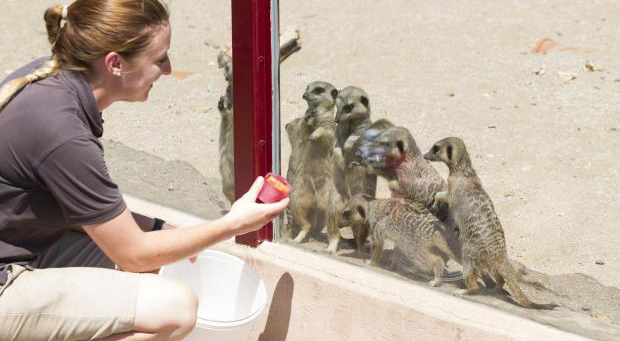 Animals at Wild Place Project were given ice lollies to help them cool down as temperatures hit highs this summer. 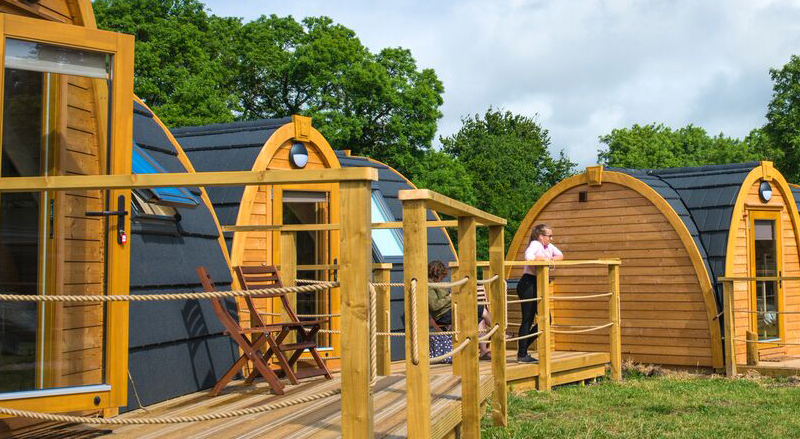 Wild Place Project has been awarded a 2016 Certificate of Excellence from TripAdvisor. 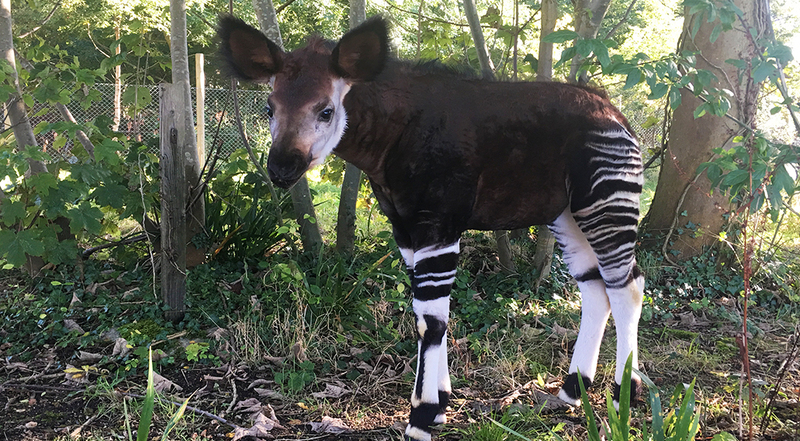 We have a new arrival - an okapi calf called Ruby. 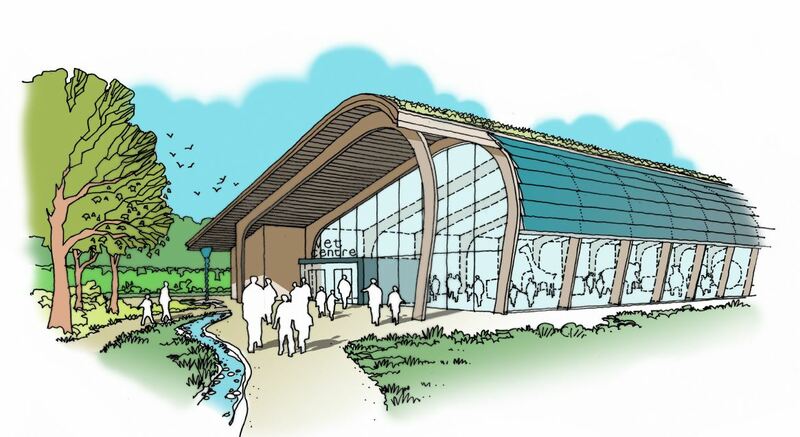 Plans are underway for a world-class veterinary centre at Wild Place Project. 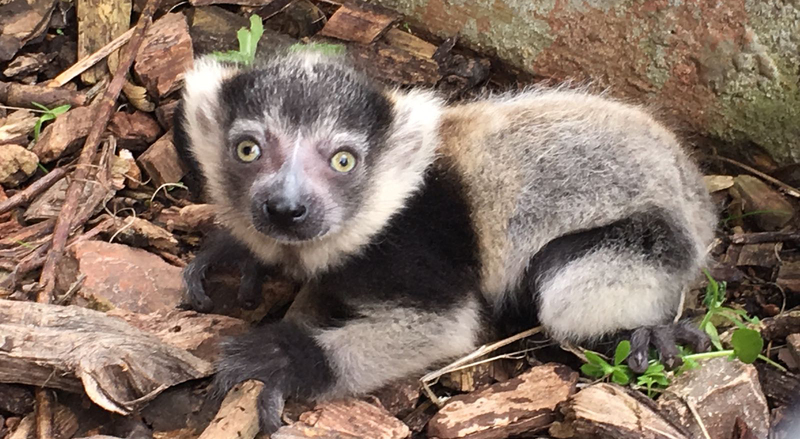 A pair of rare ring-tailed lemurs have been born at Wild Place Project.